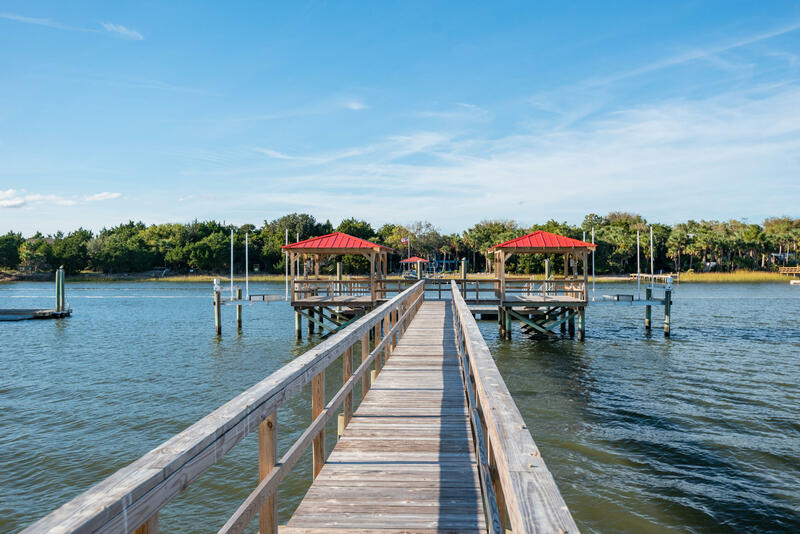 Welcome to 2301 Waterway Blvd, a wonderful place to call home. 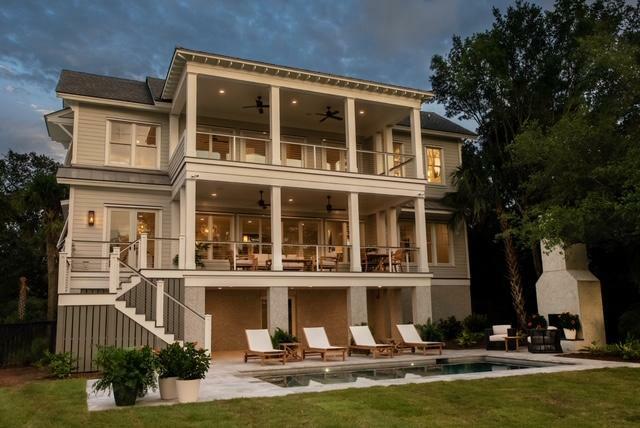 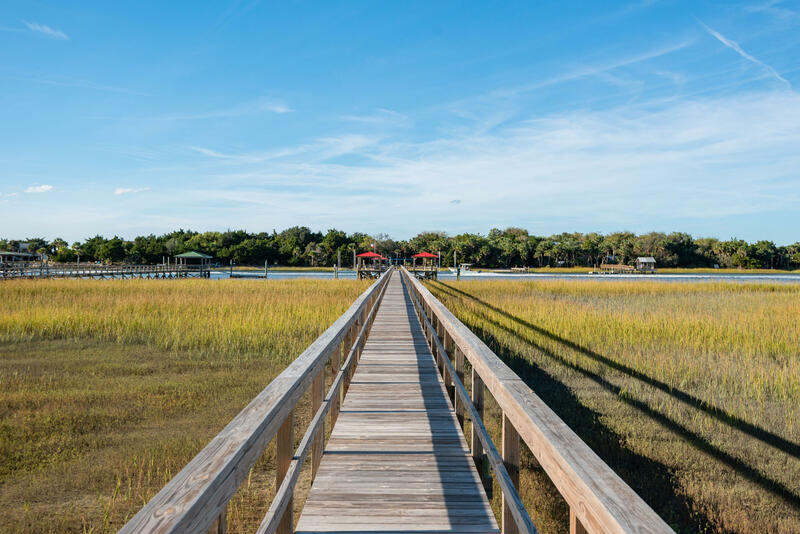 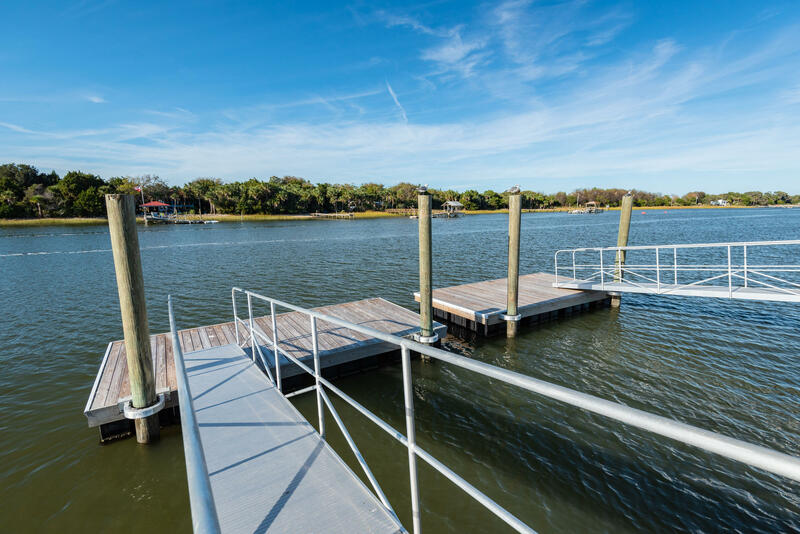 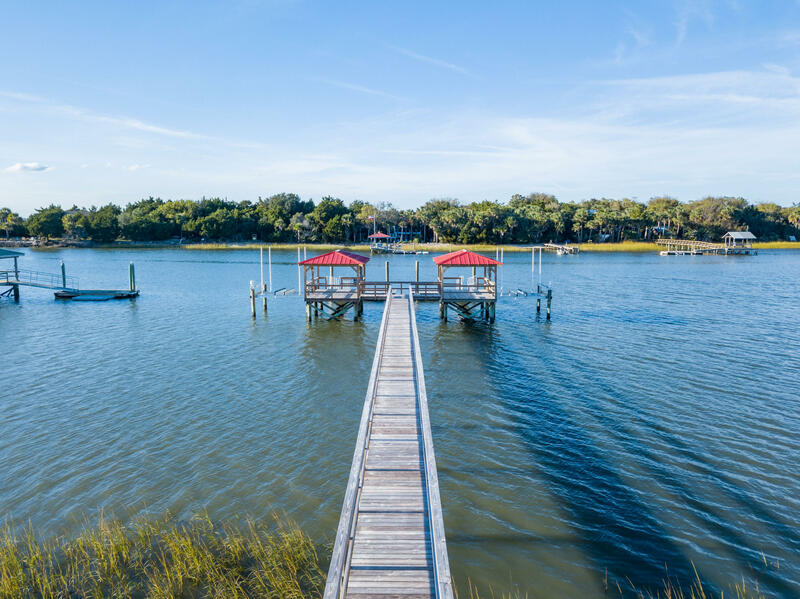 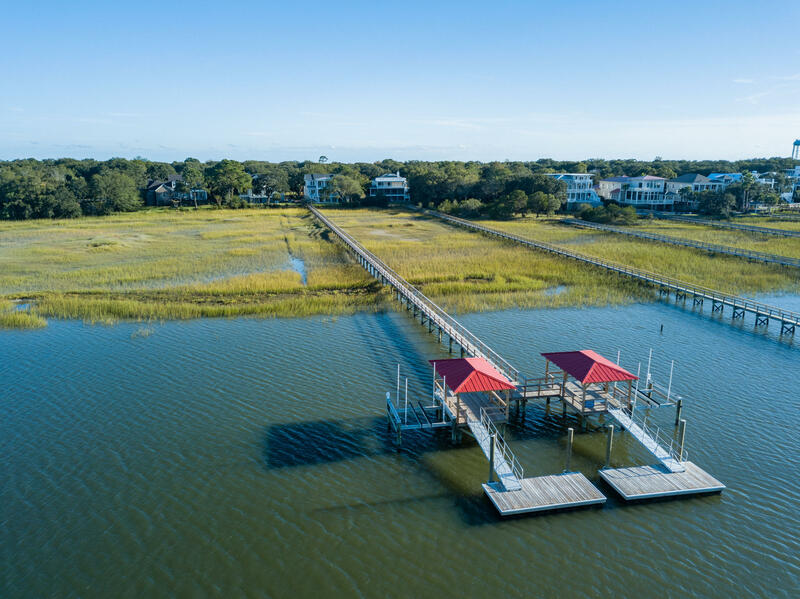 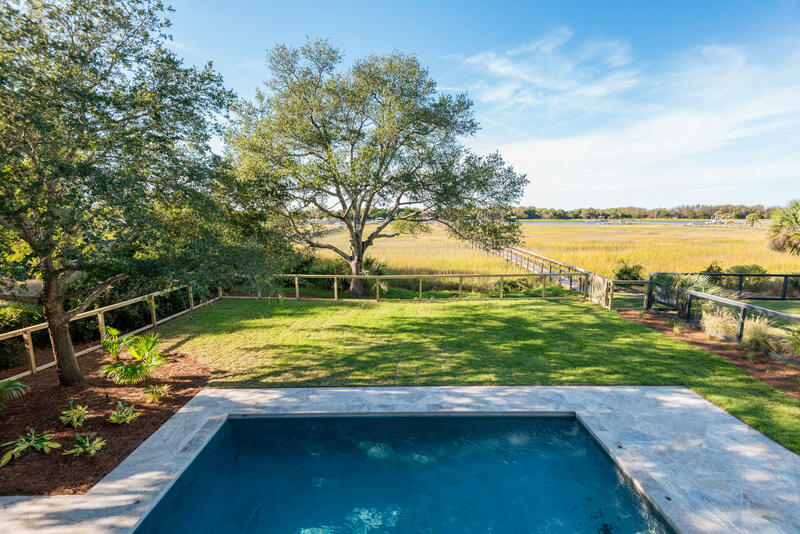 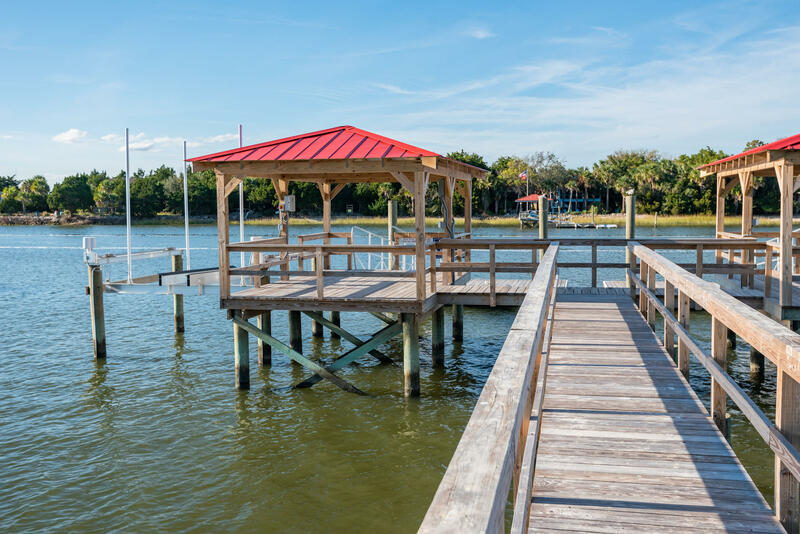 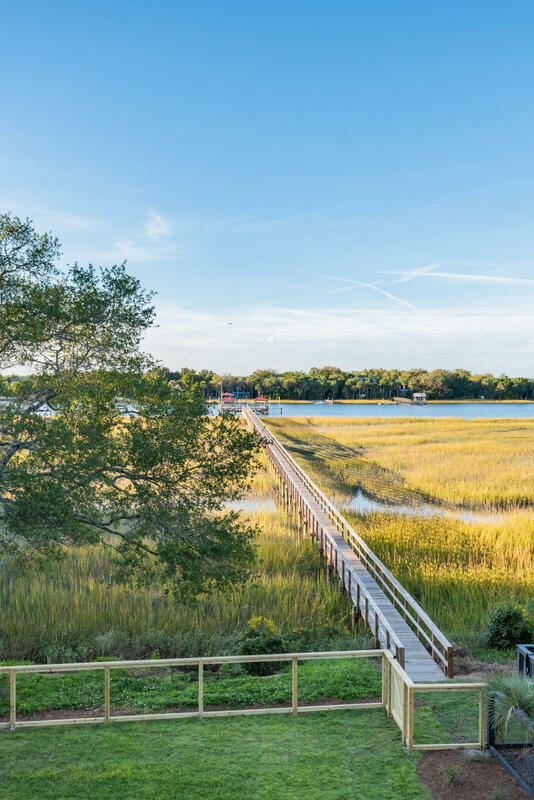 This 5 bedroom, 5 1/2 Bath home is located on the Intracoastal Waterway with a deep water dock, floating dock and 20, 000 lb boat lift...but the best part are the gorgeous views from every floor. 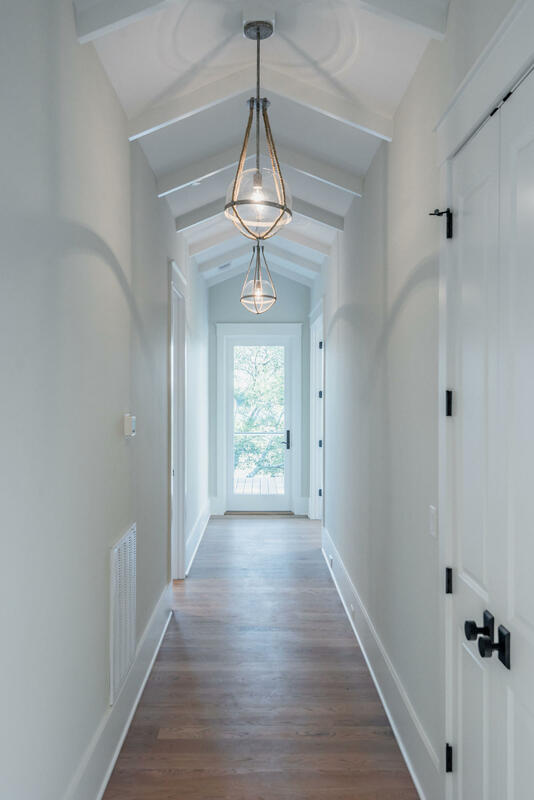 The home has a beautiful presence upon approach. 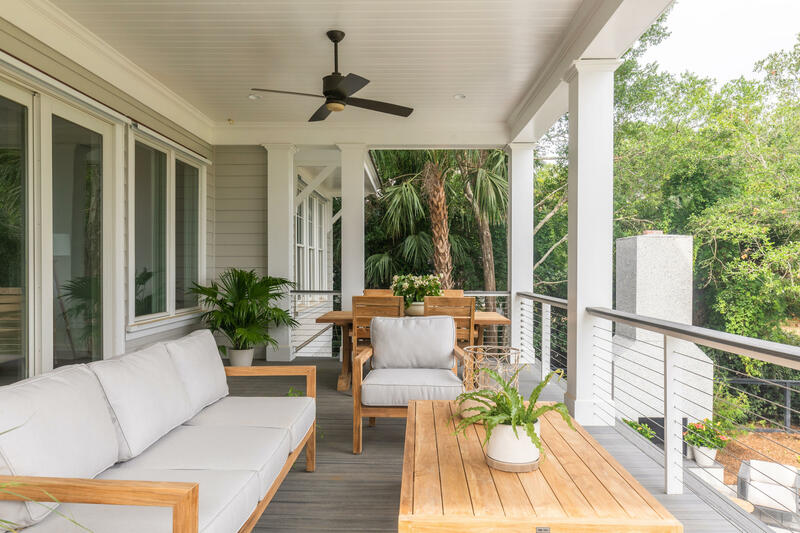 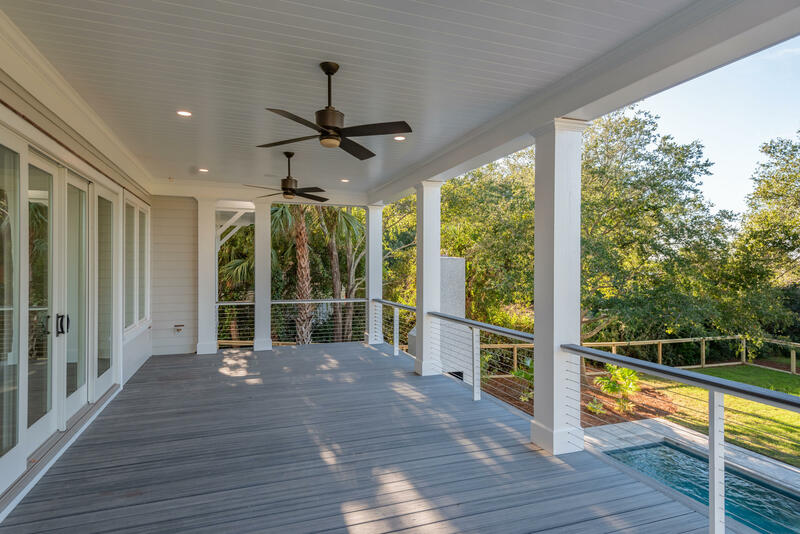 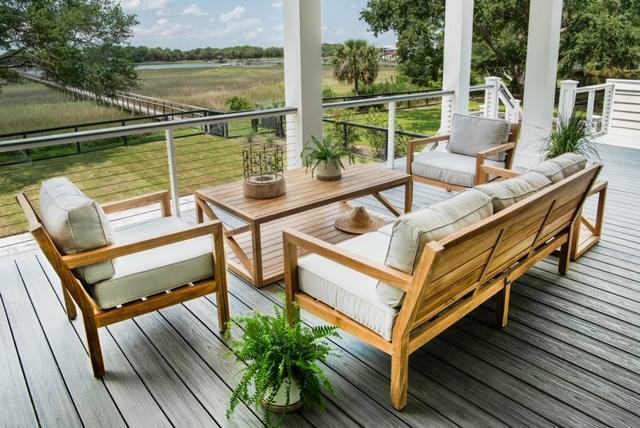 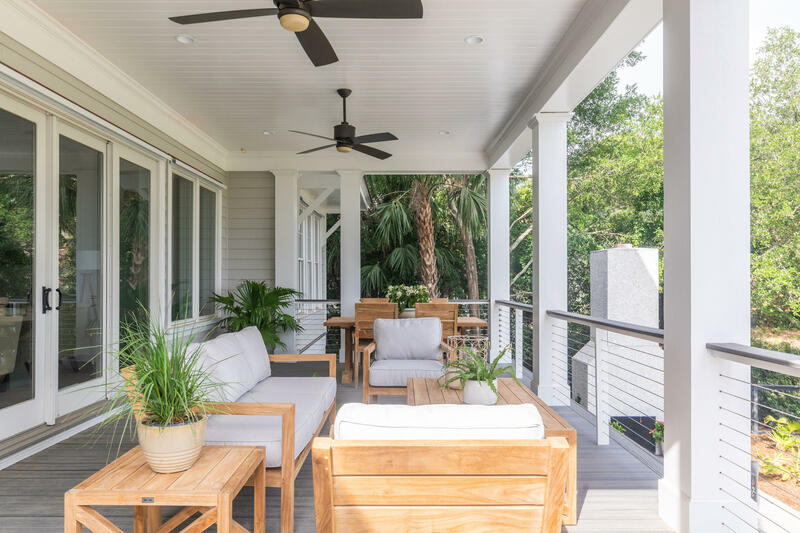 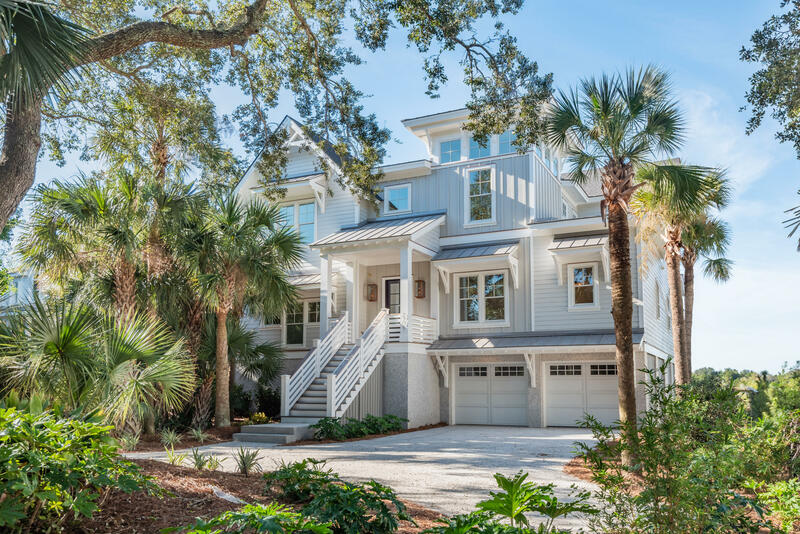 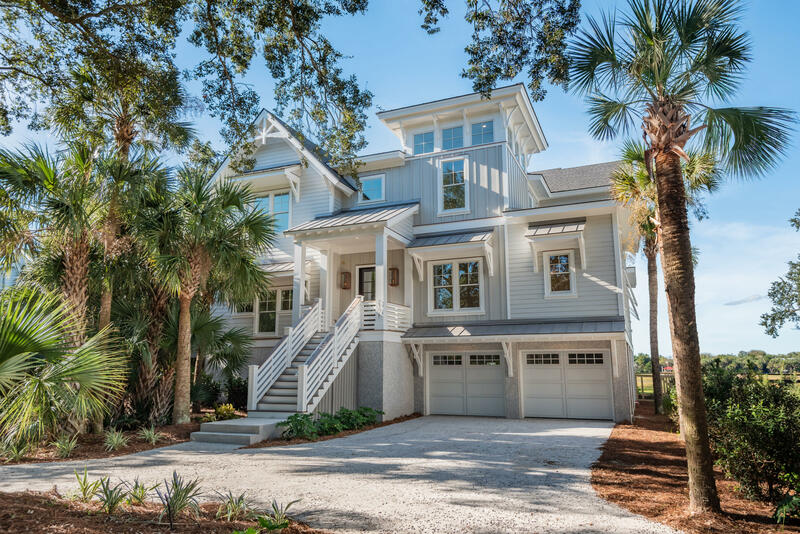 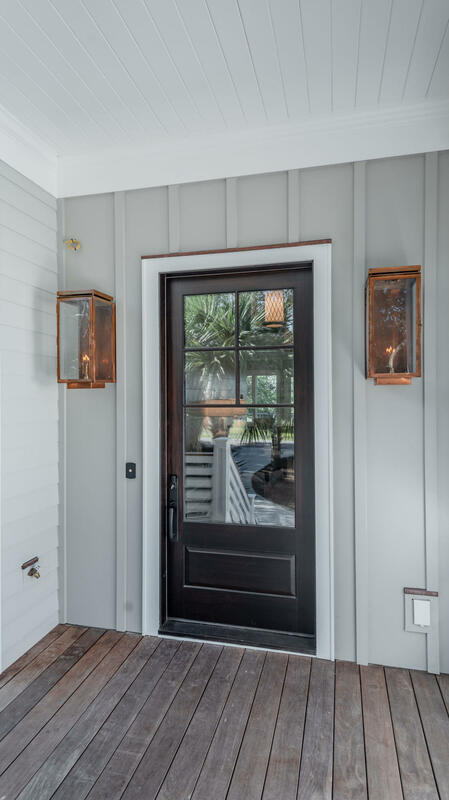 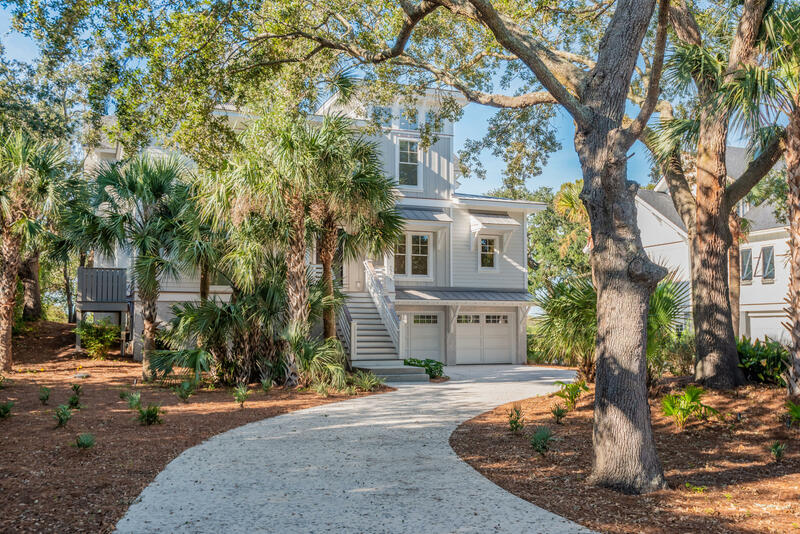 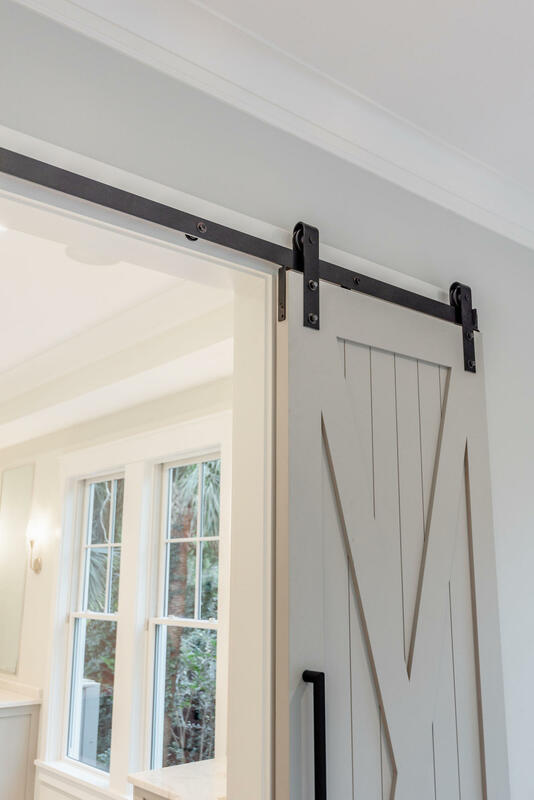 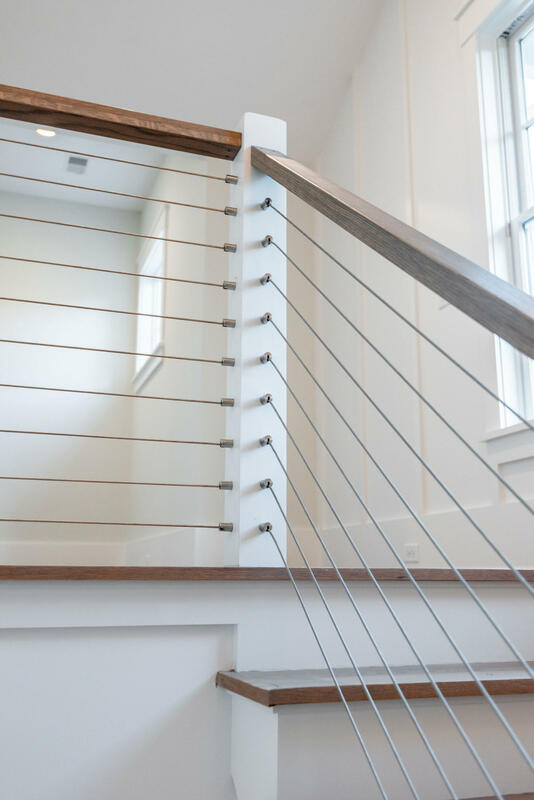 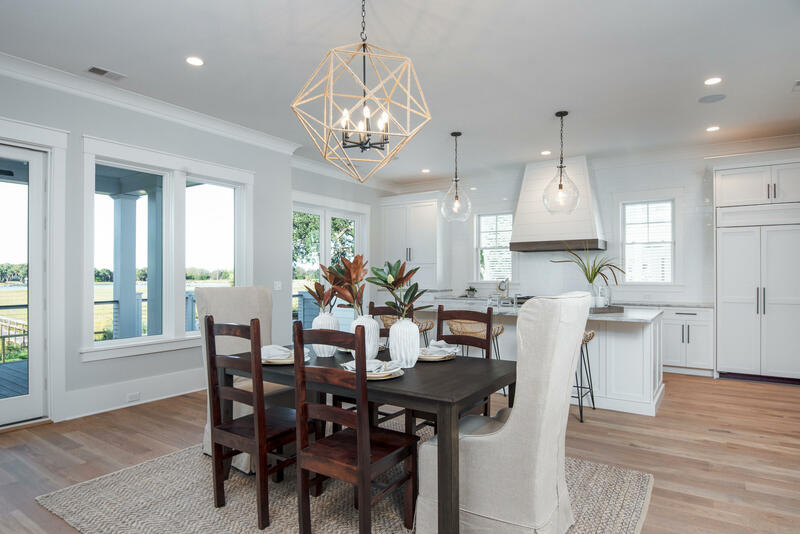 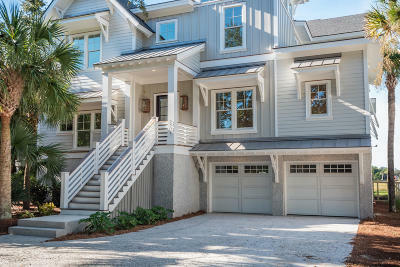 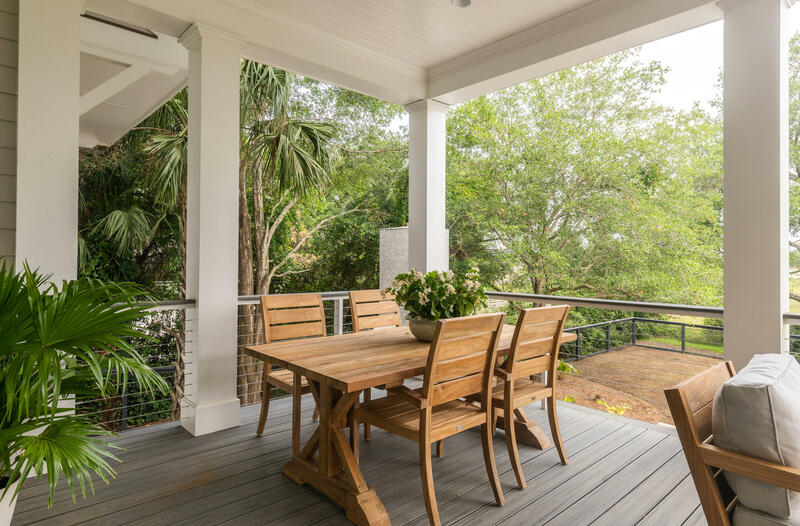 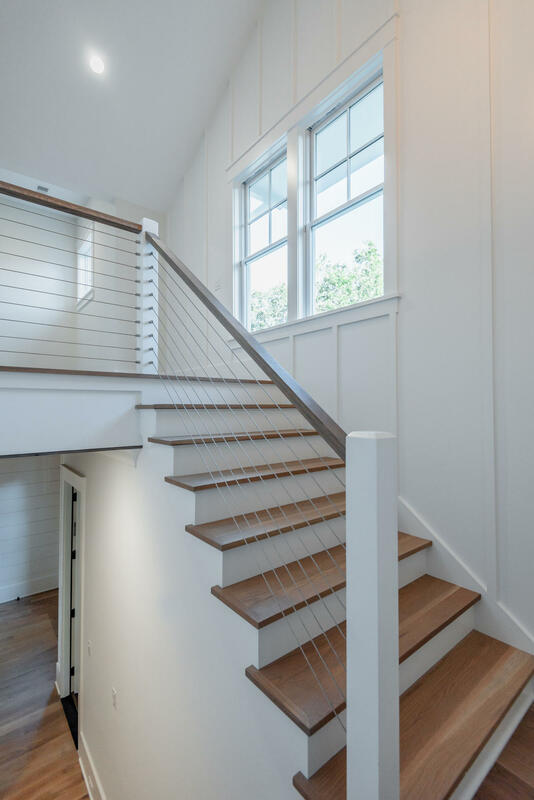 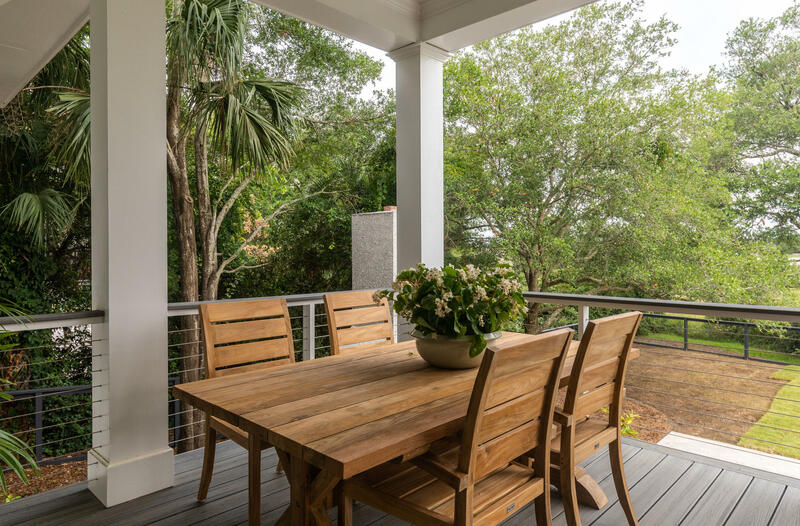 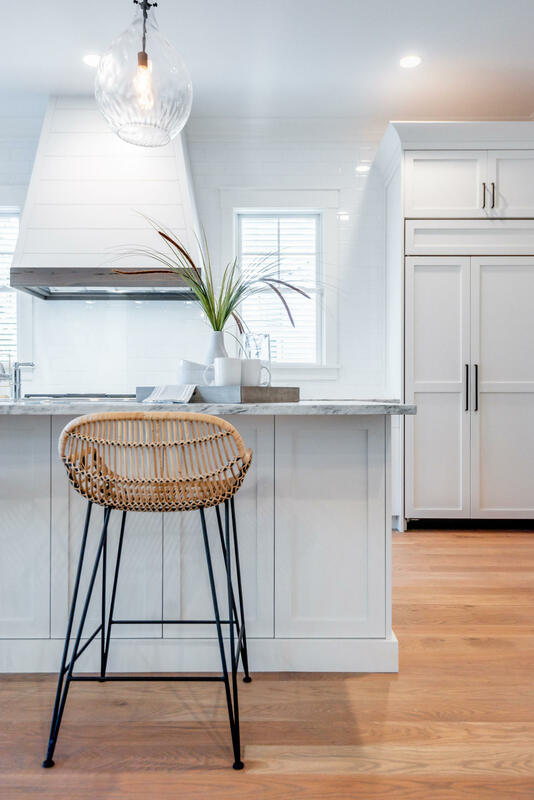 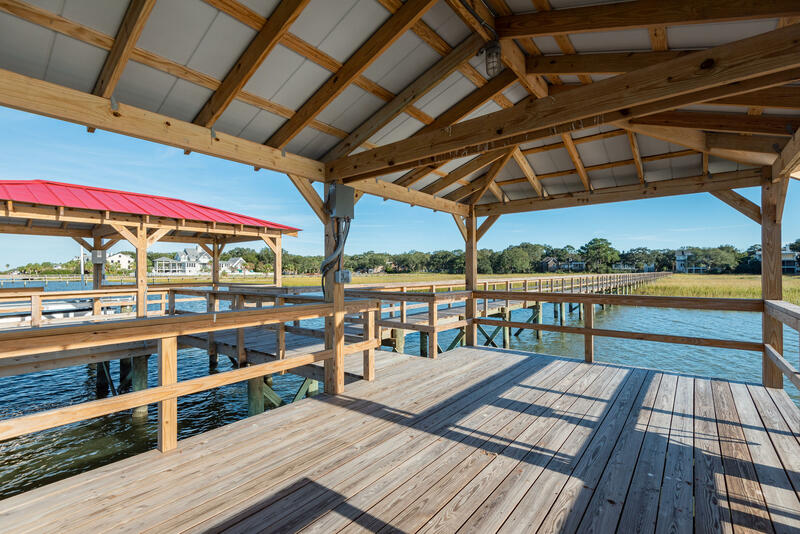 A mix of board and batten with lap siding, metal roof, horizontal porch railings and wood rafters all combine to create a sophisticated coastal look. 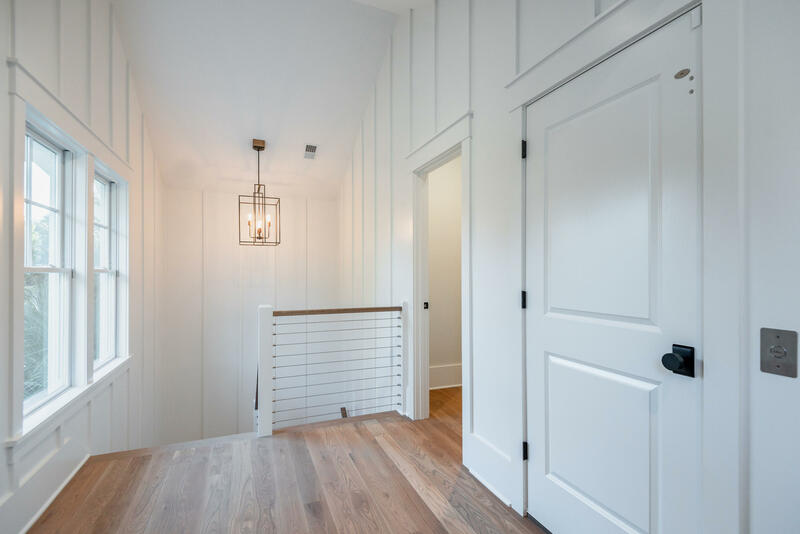 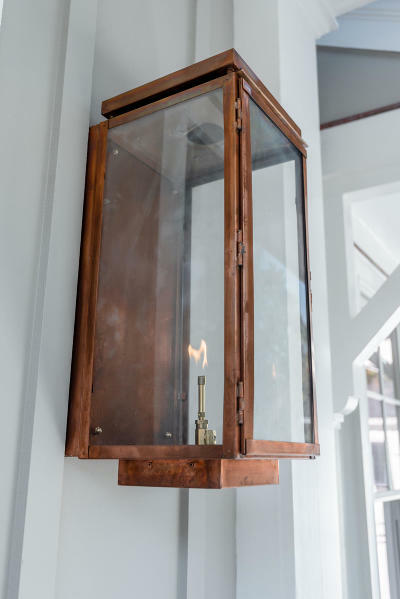 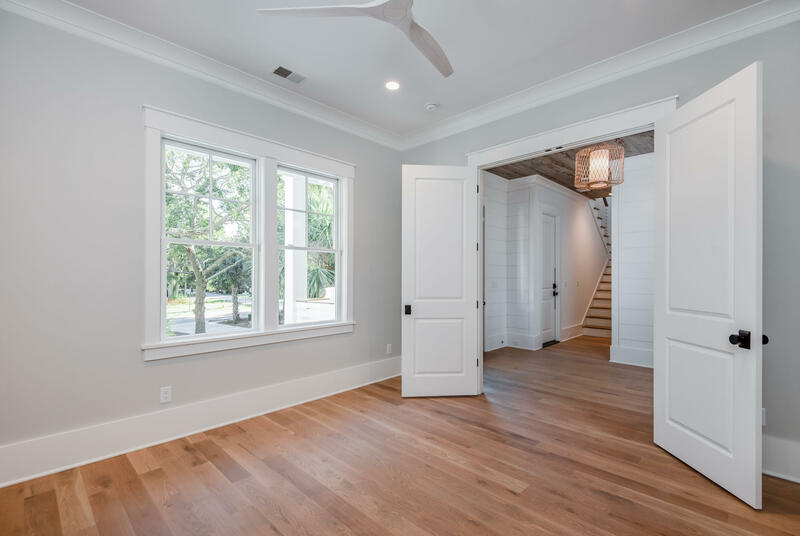 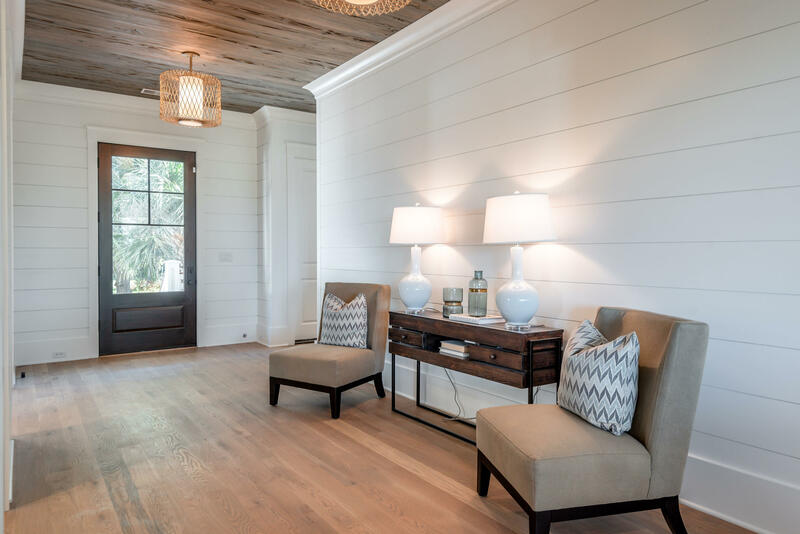 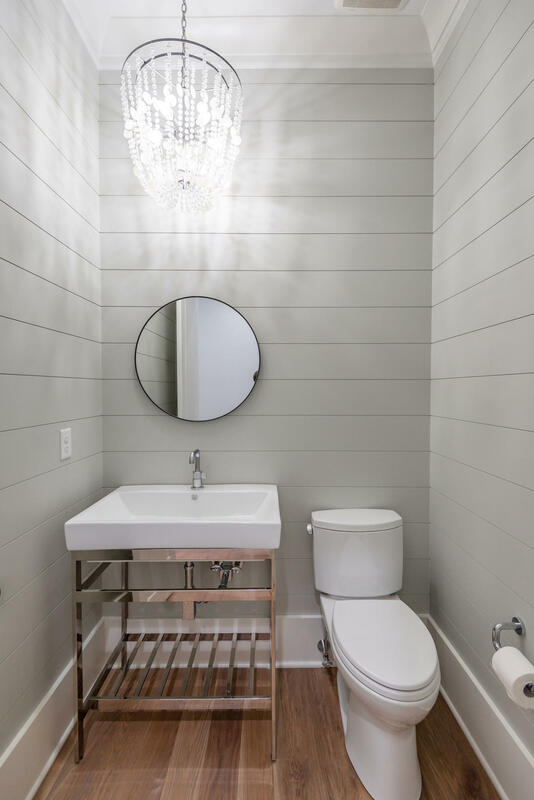 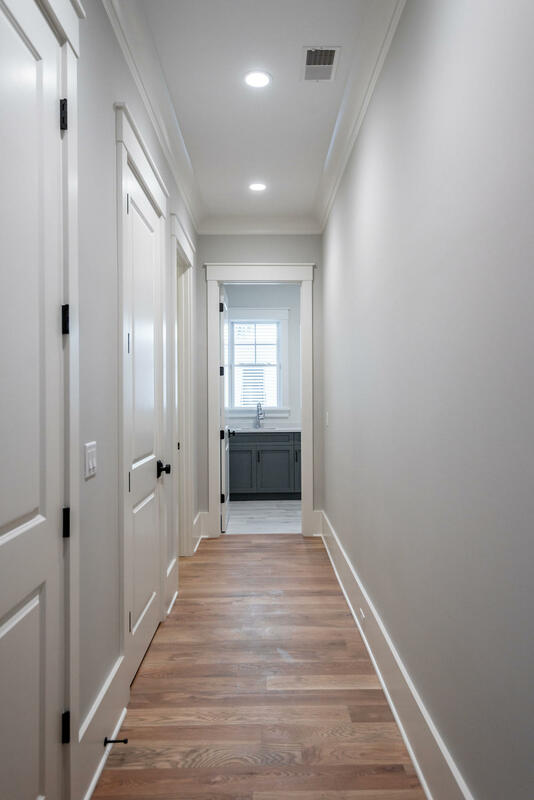 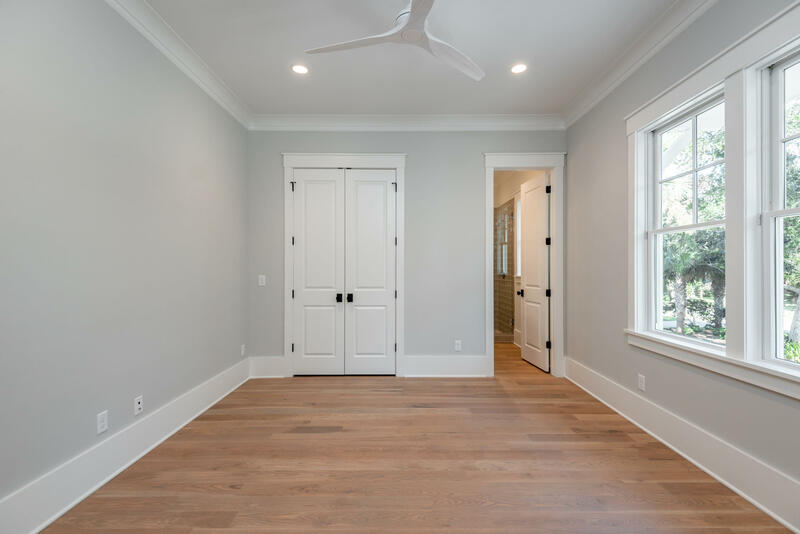 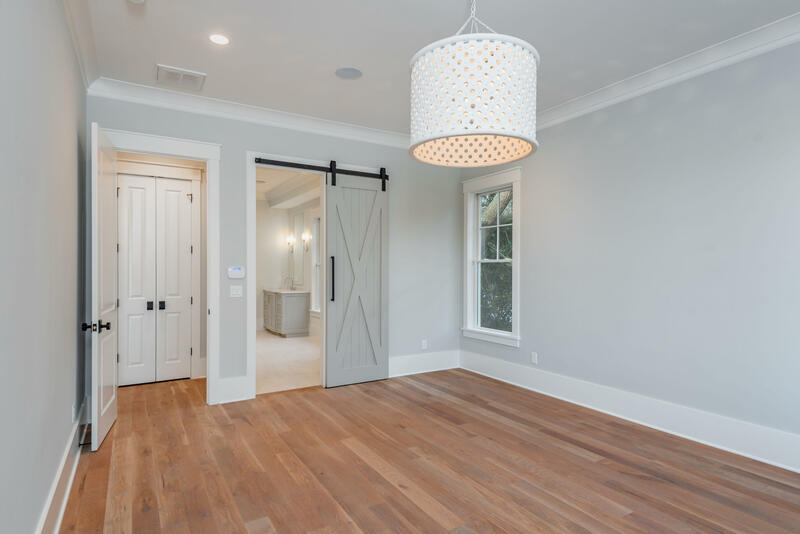 The foyer is a stunner with with a pecky cypress wood treatment on the ceiling and shiplap. 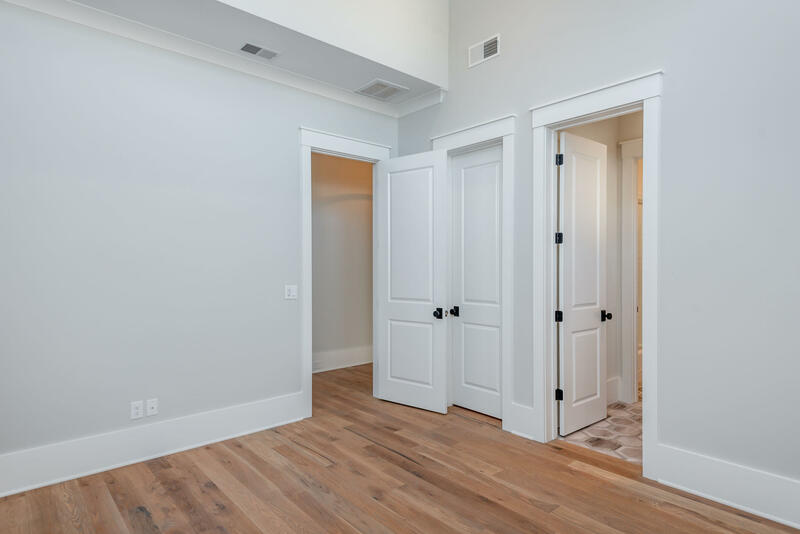 To the right is a great flex space that can be an office or bedroom with an en suite bath. 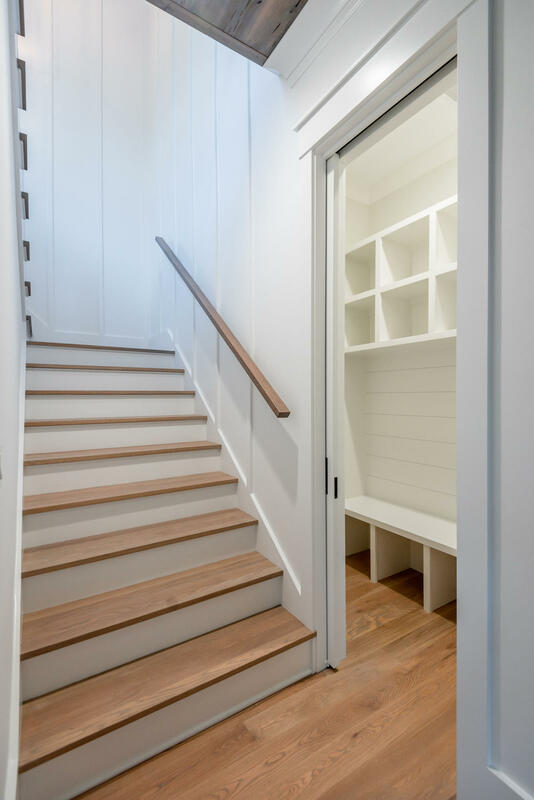 To the left is a 3-stop elevator and the staircase. 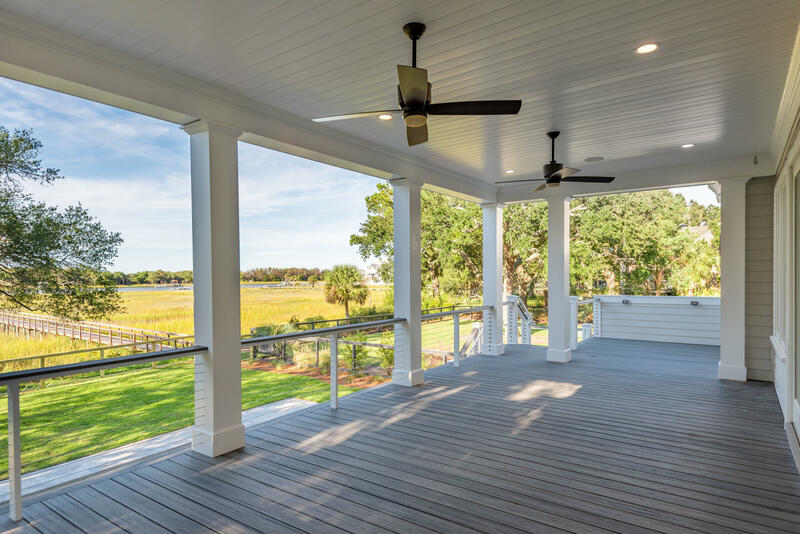 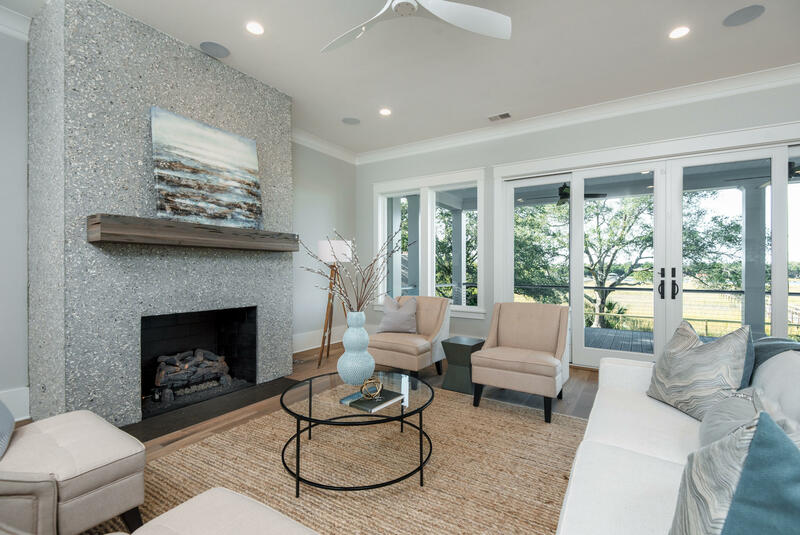 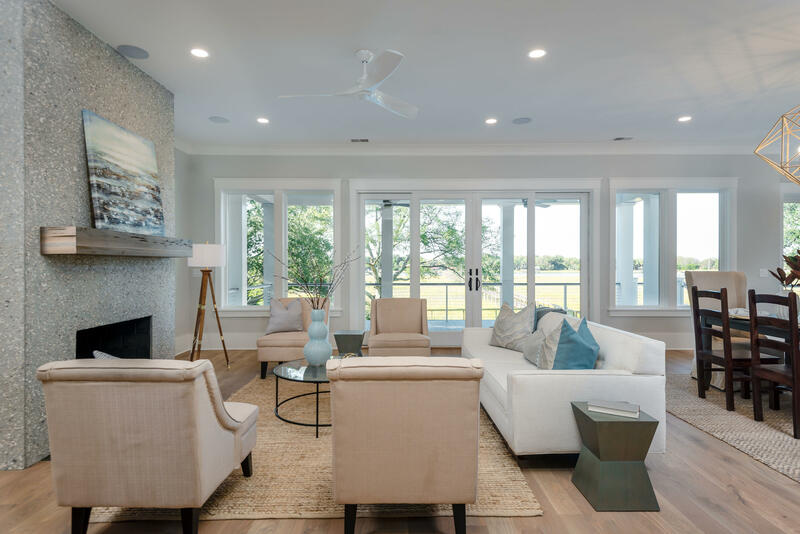 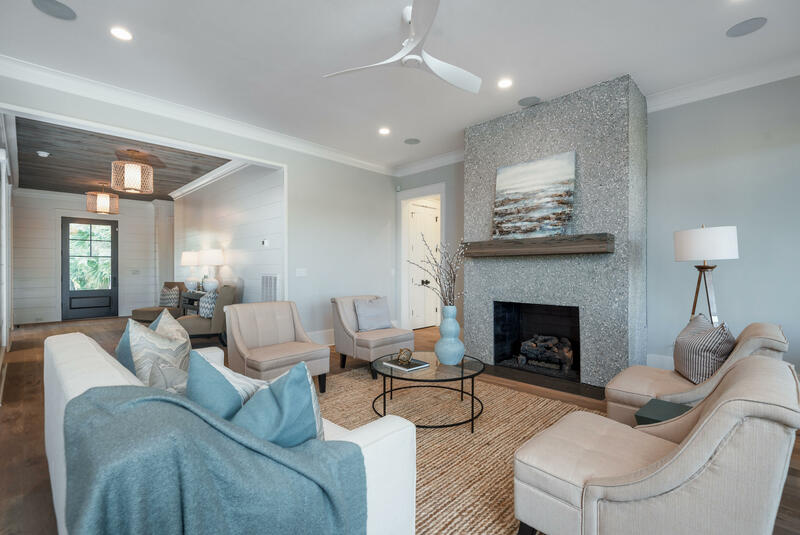 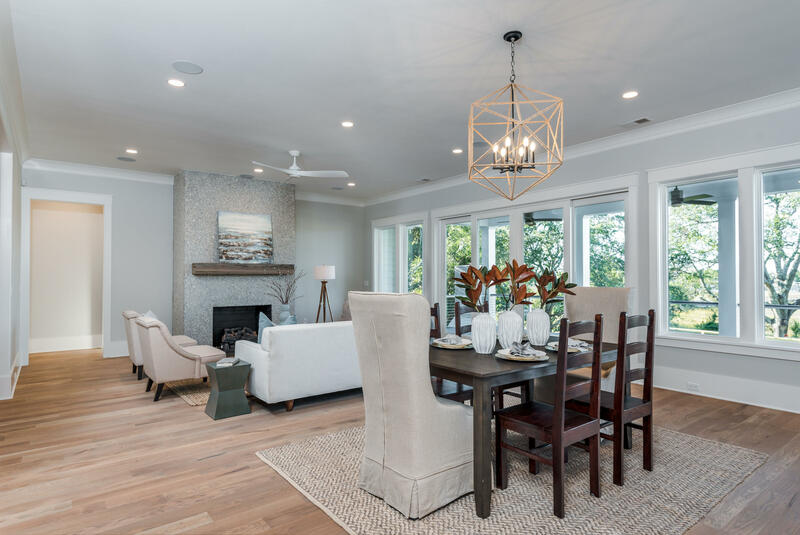 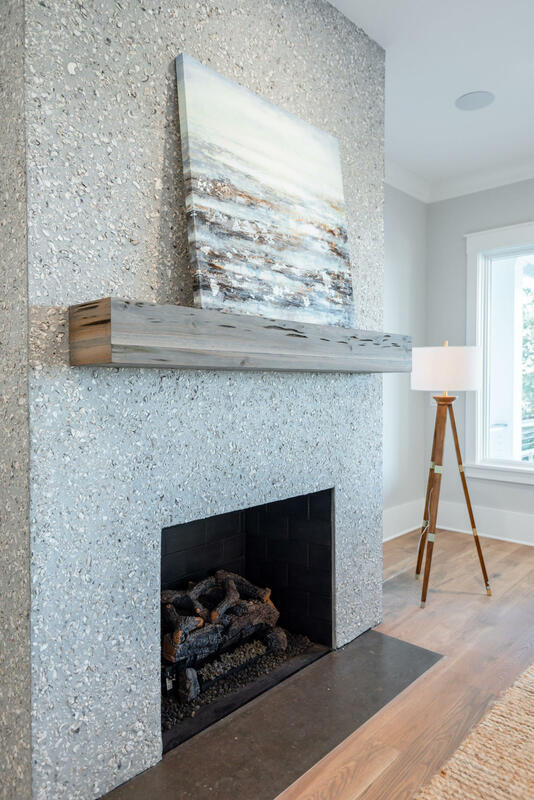 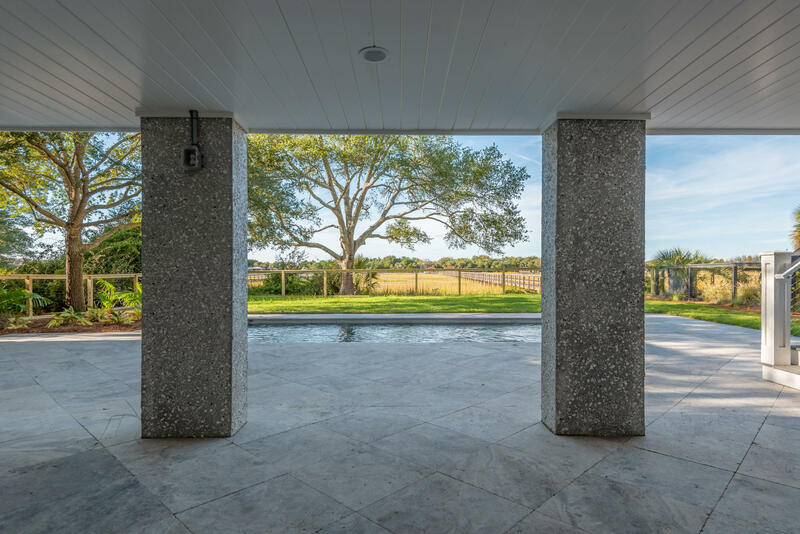 The foyer flows into a large great room with an oyster tabby fireplace, wet bar, dining space, open kitchen with not only direct access onto a large porch through large glass sliding doors, but big views of the water. 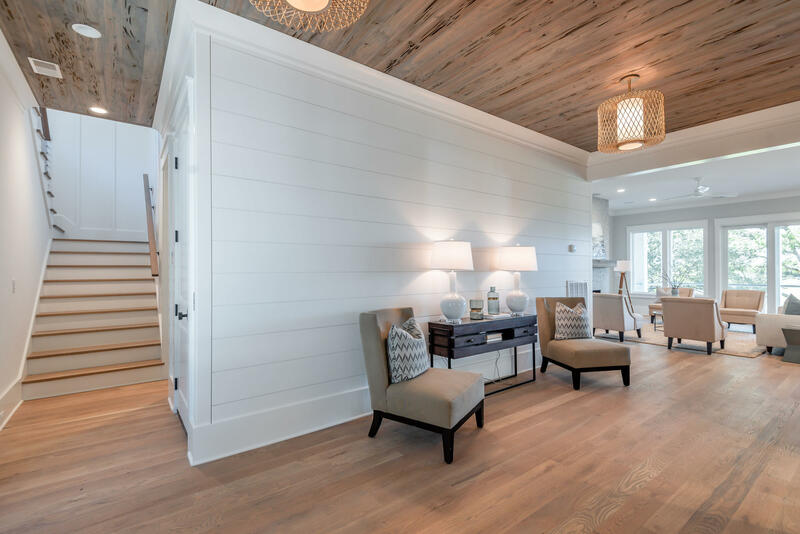 A tongue and groove natural wood ceiling sets this space apart. 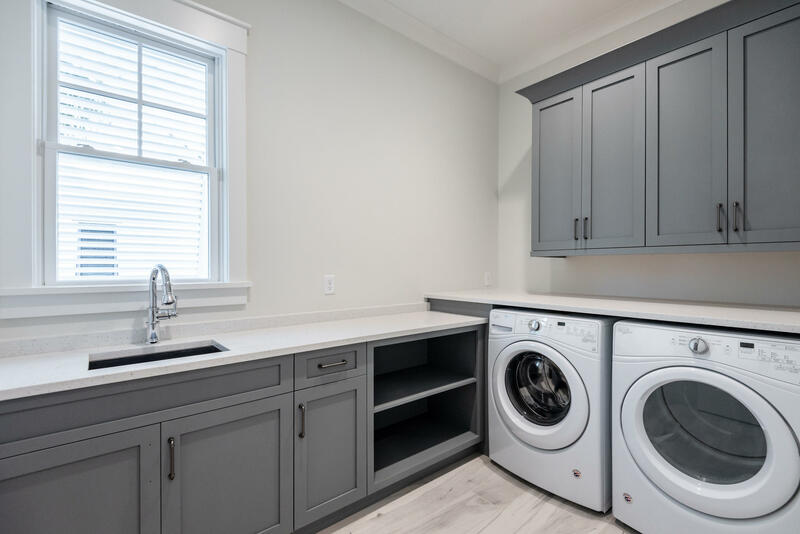 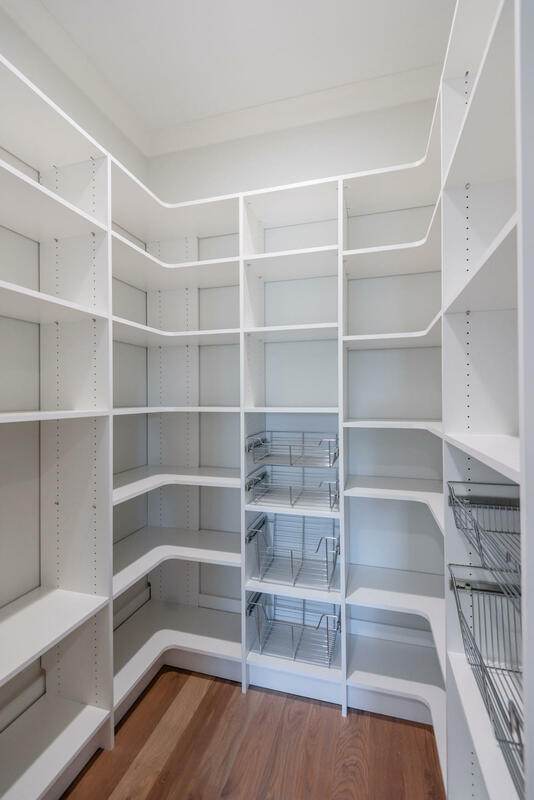 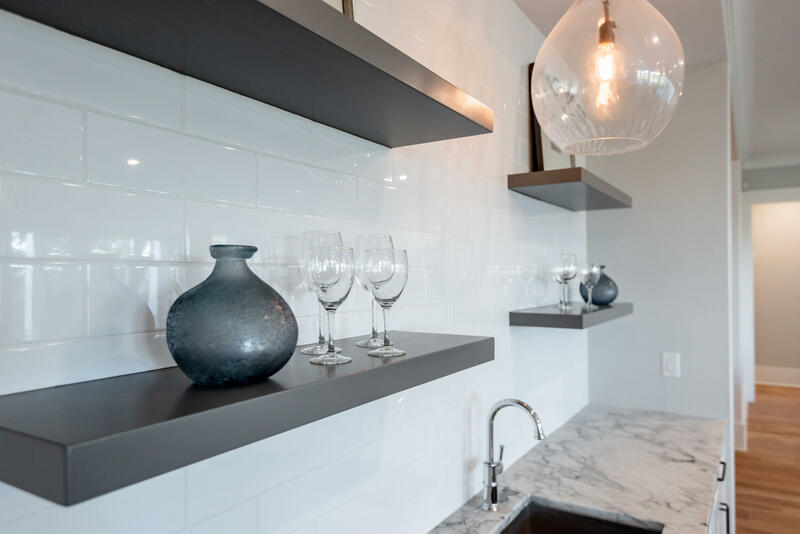 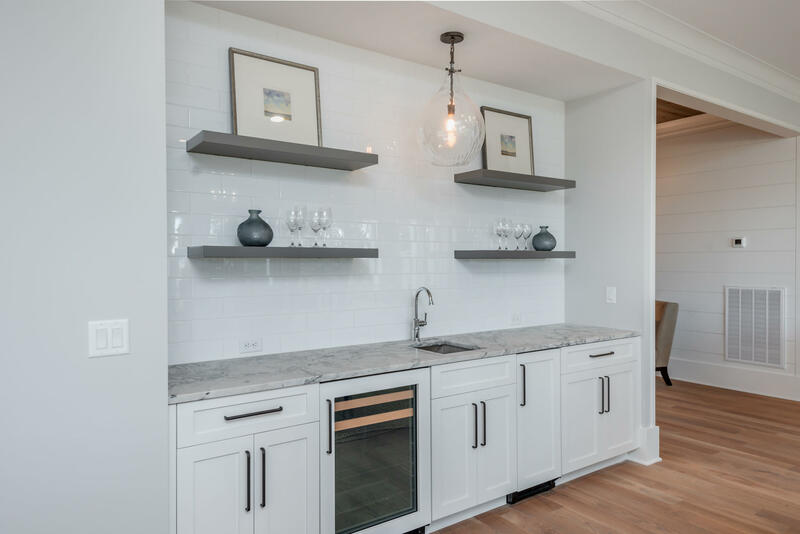 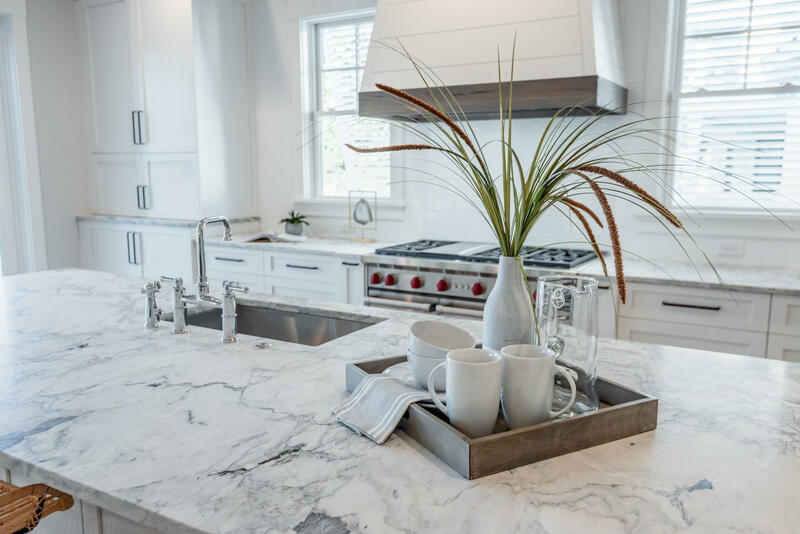 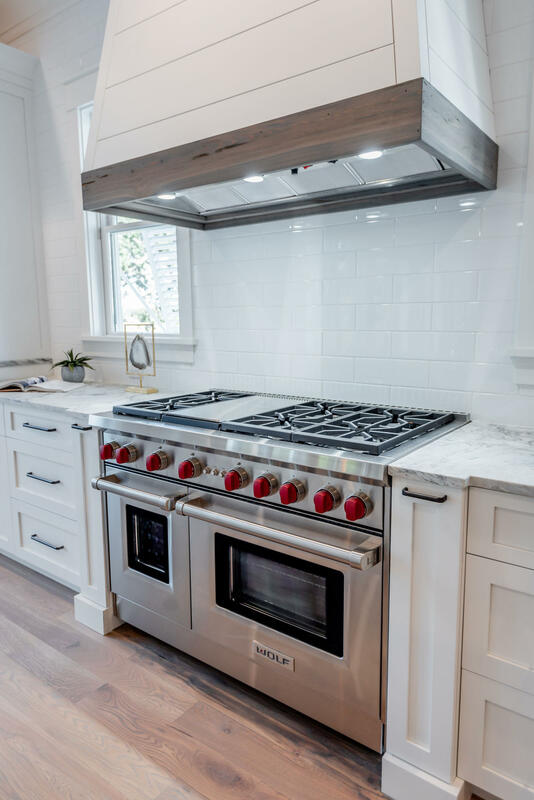 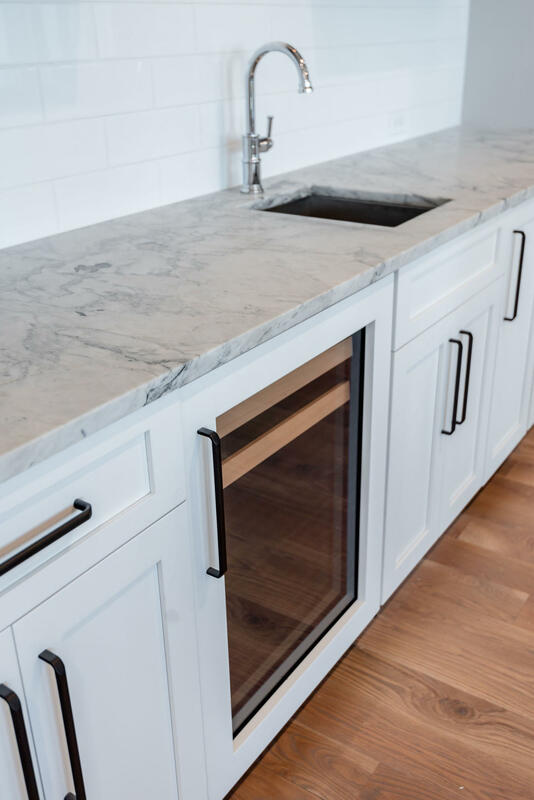 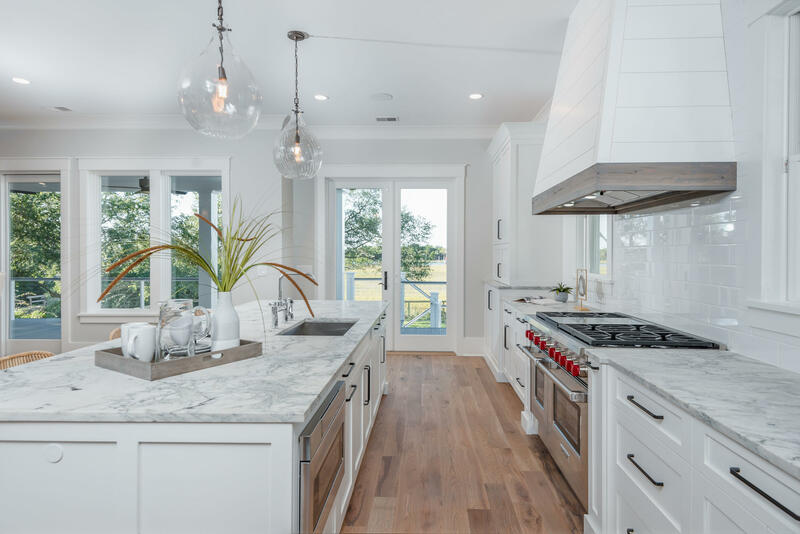 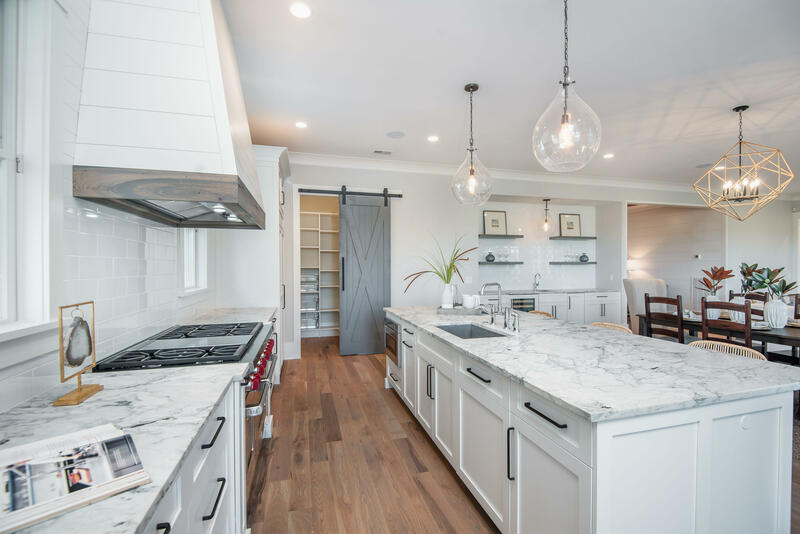 The kitchen has everything you would expect in a house of this quality, Sub Zero refrigerator, Wolfe range, Meile dishwasher, gorgeous marble countertops and walk in pantry. 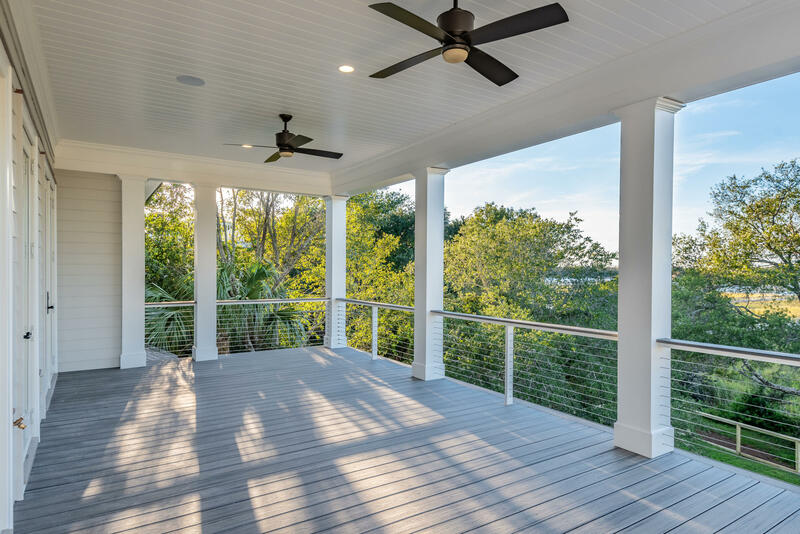 Views from the kitchen and an open deck for grilling make this a kitchen where everyone will want to be! 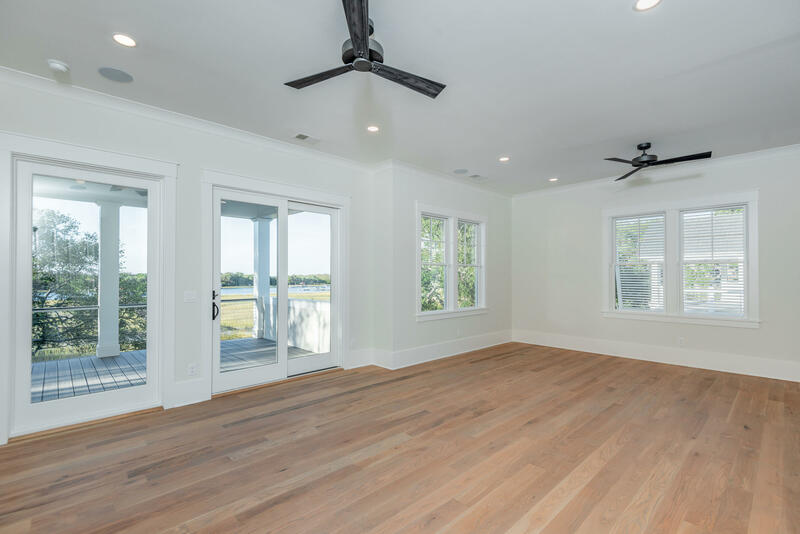 The master bedroom is on the main level with water views, porch access and a hotel spa style bathroom. 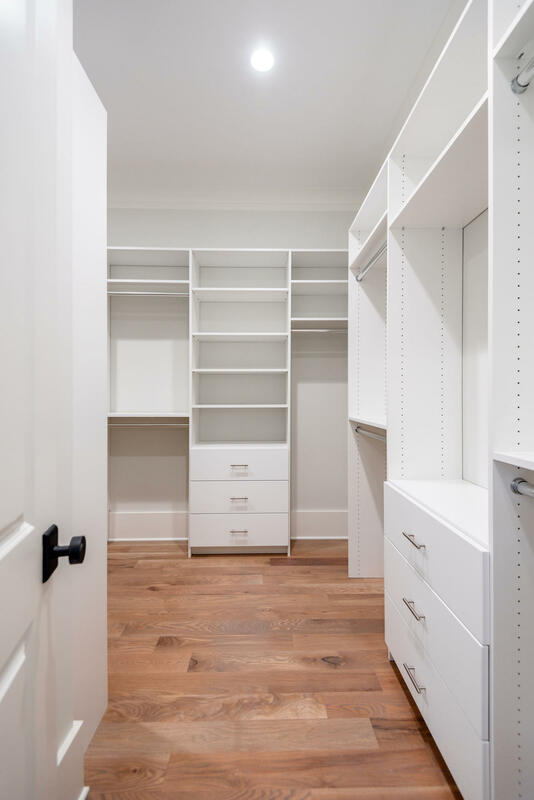 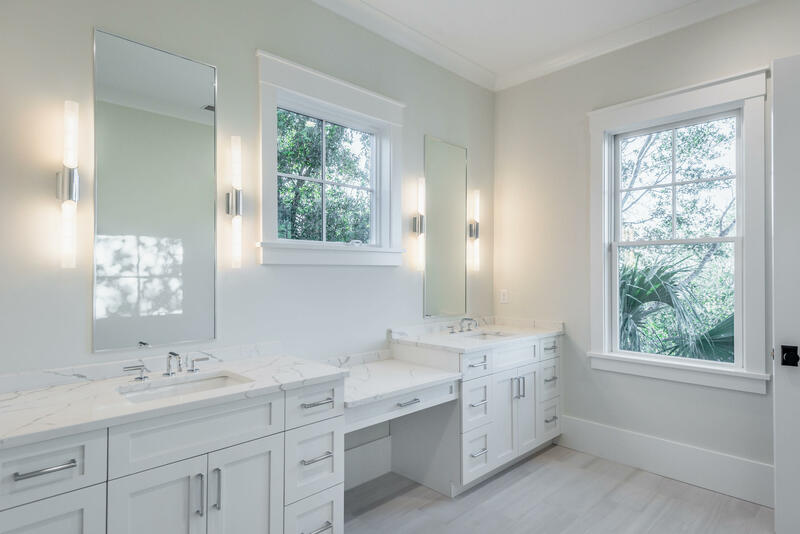 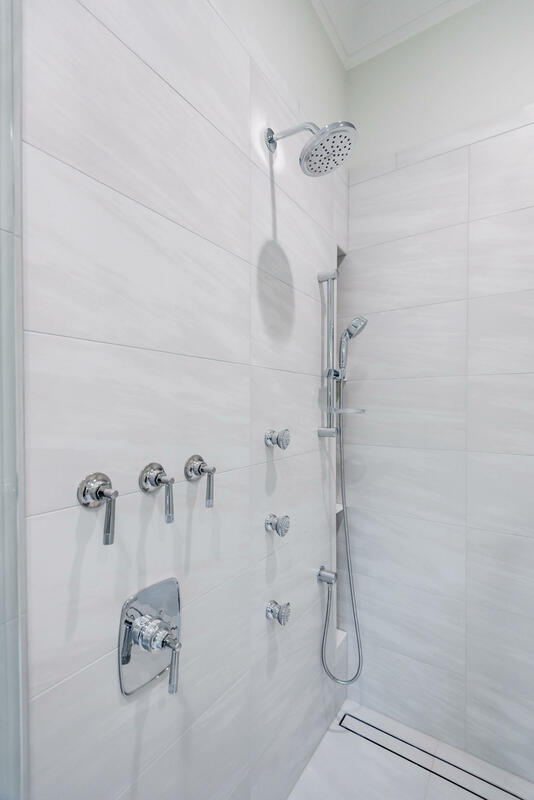 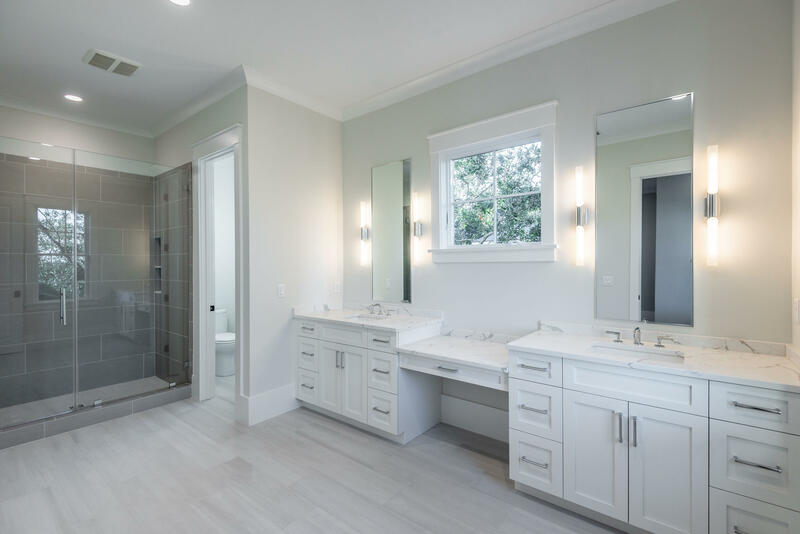 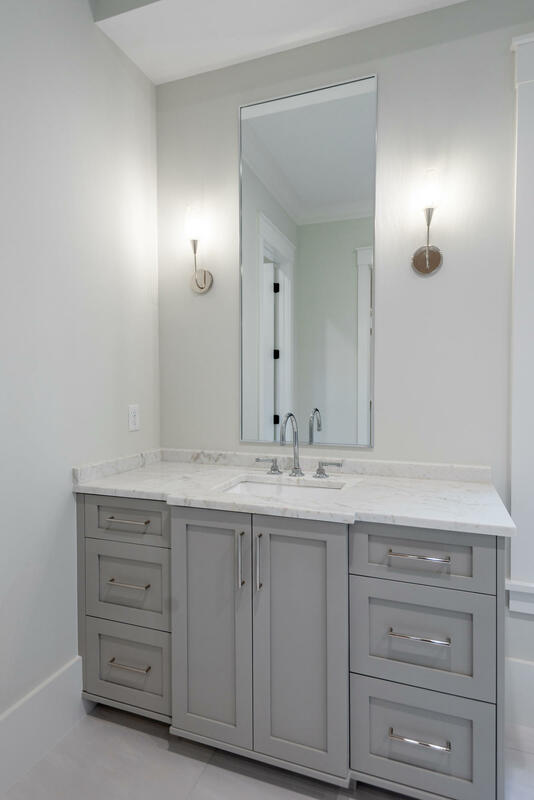 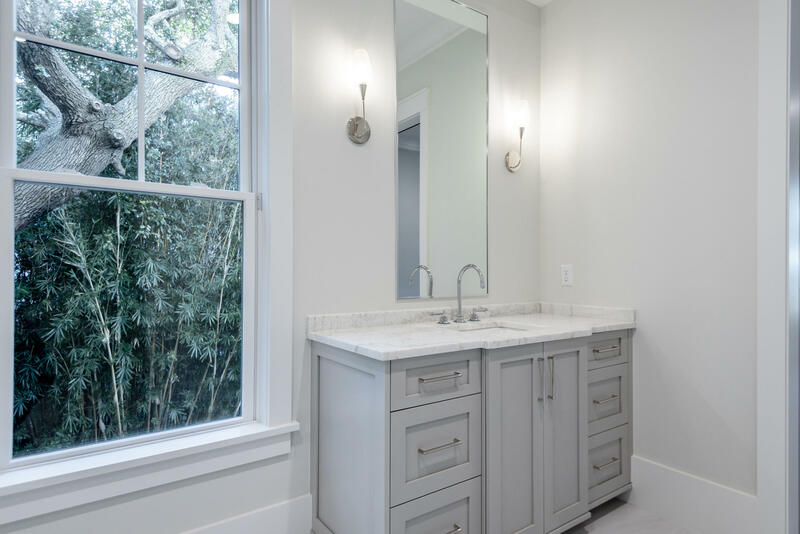 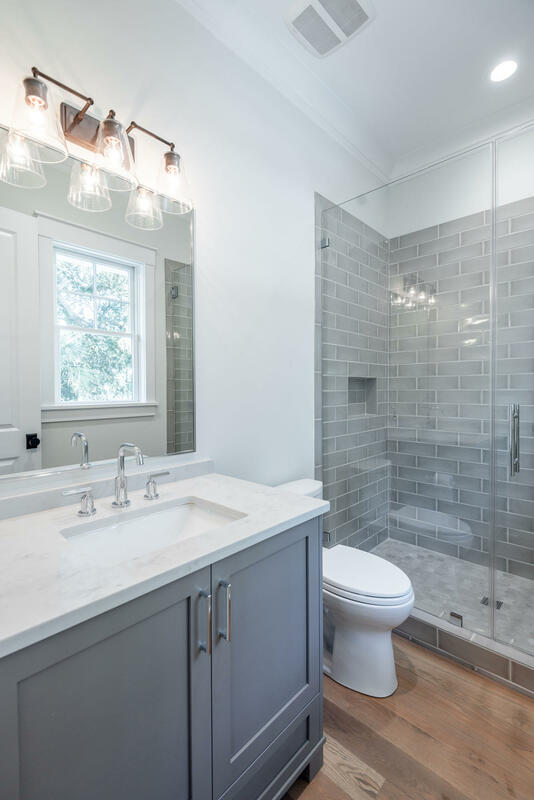 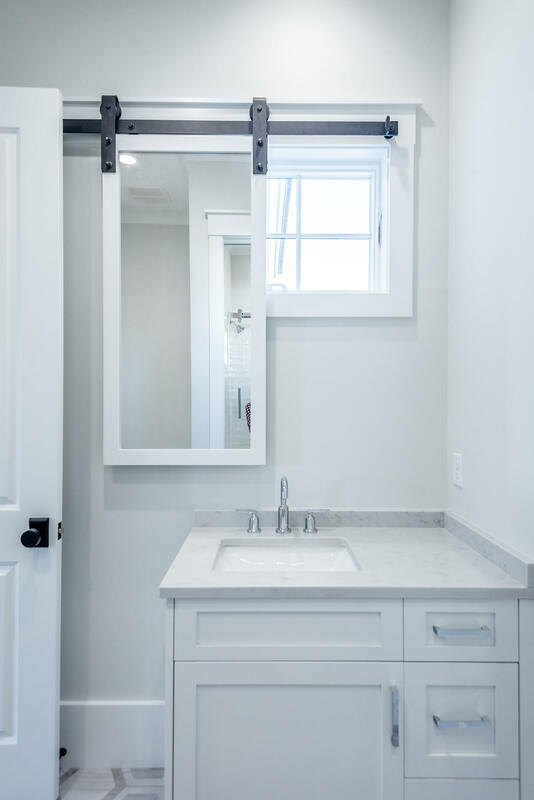 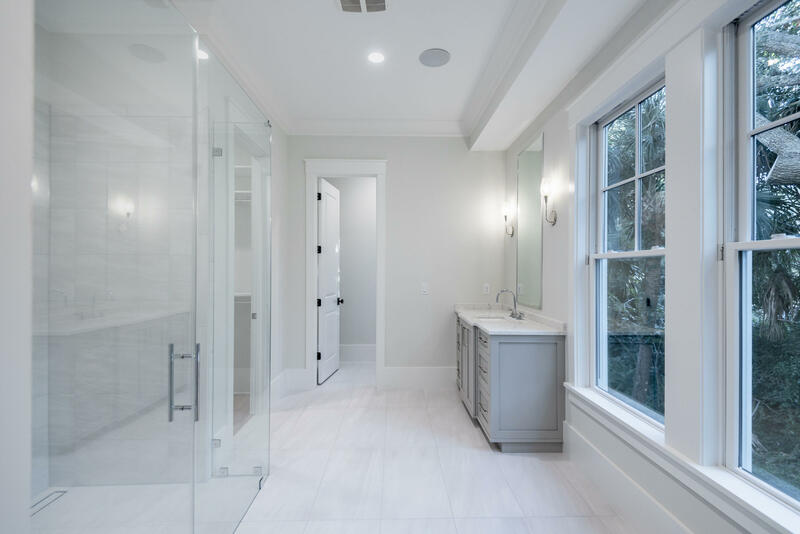 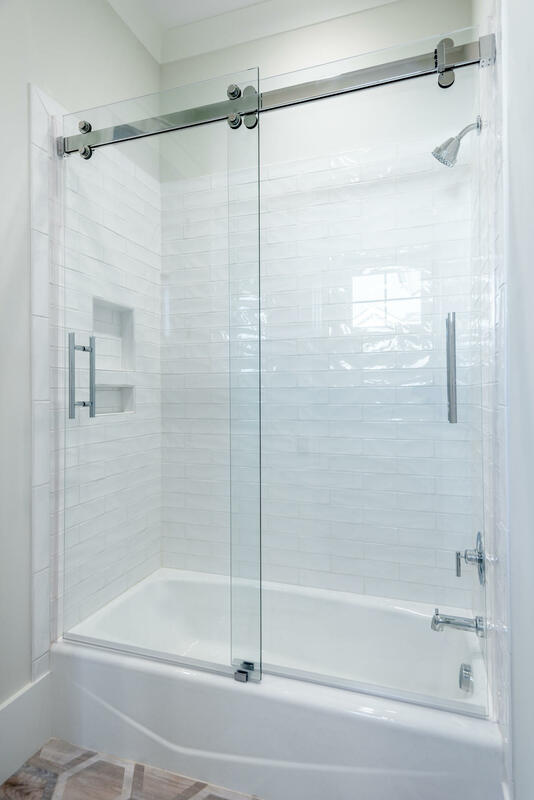 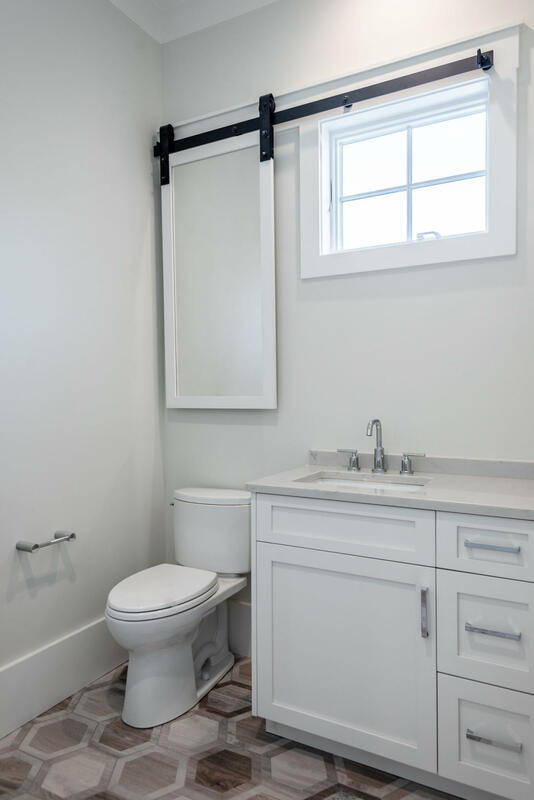 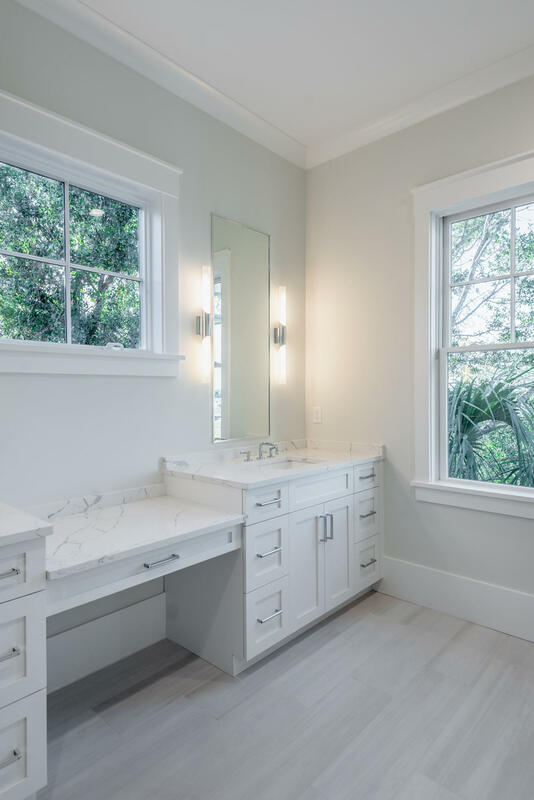 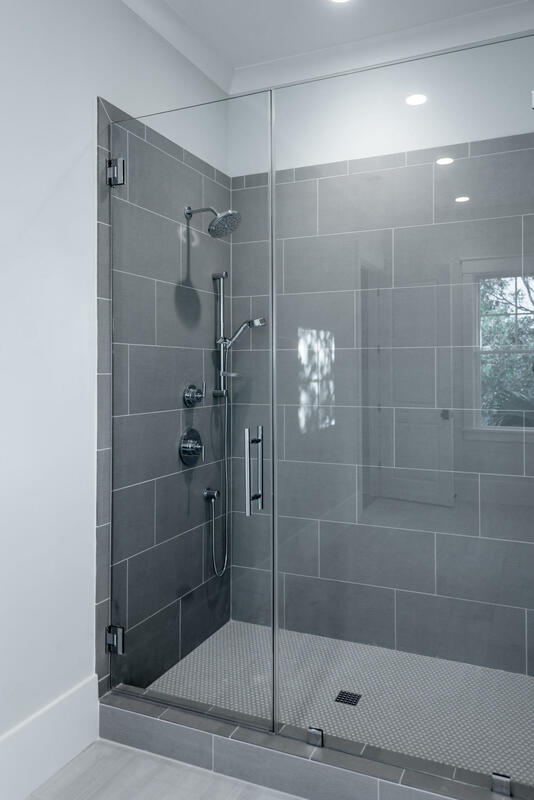 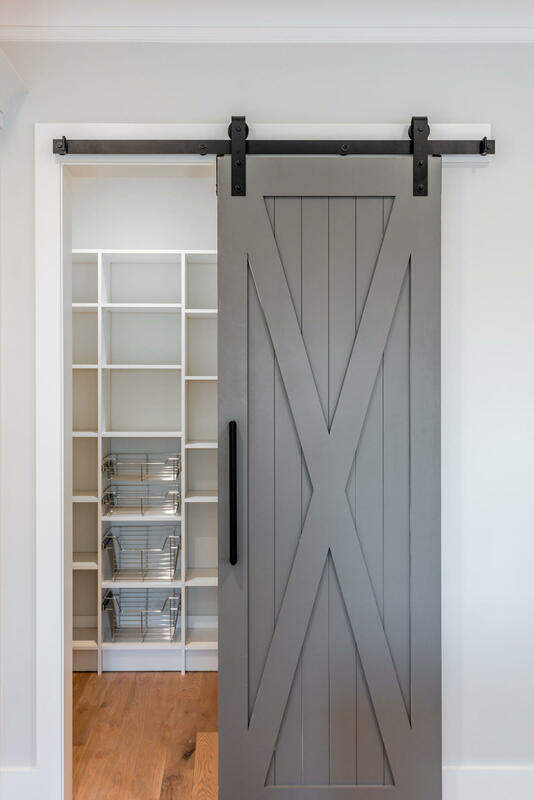 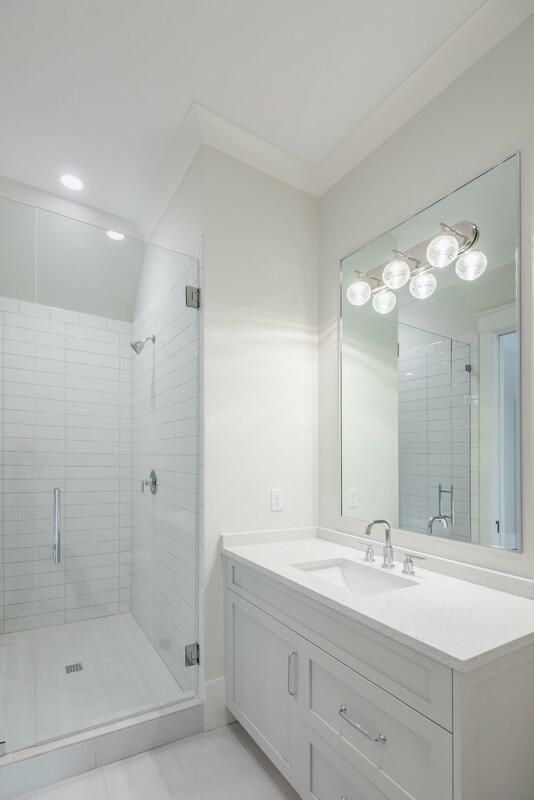 Easy entry shower, double vanities, private water closet and huge walk-in closet make this a true retreat at the end of the day. 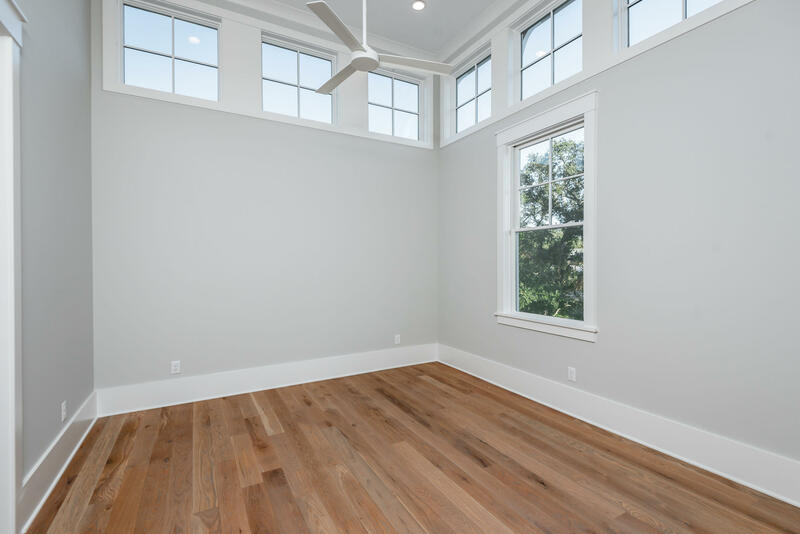 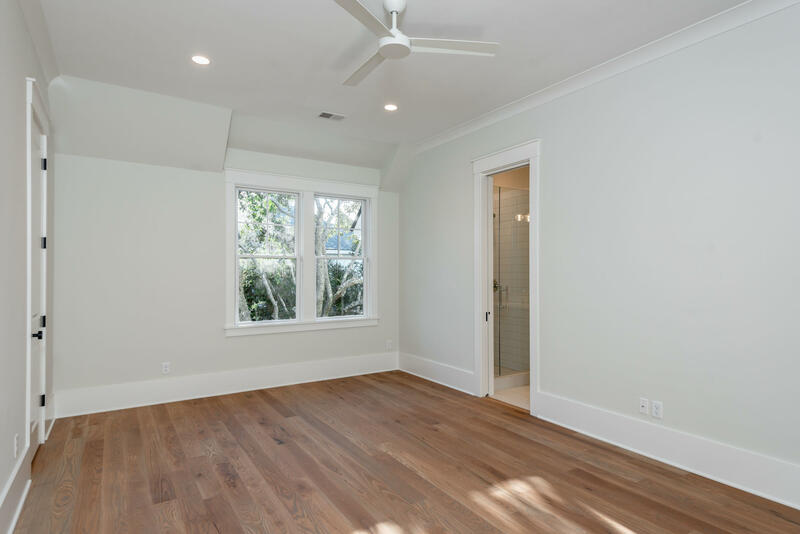 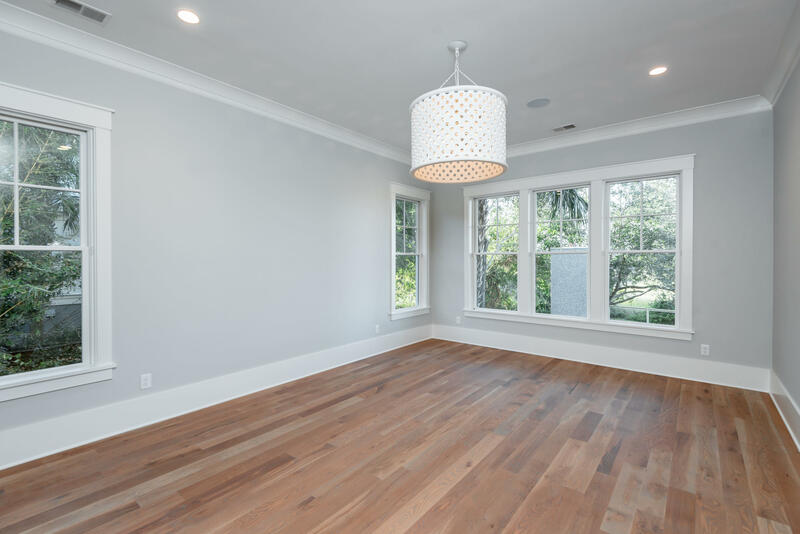 Upstairs you will find a large media room, a junior master and two additional bedrooms.... all finished out beautifully. 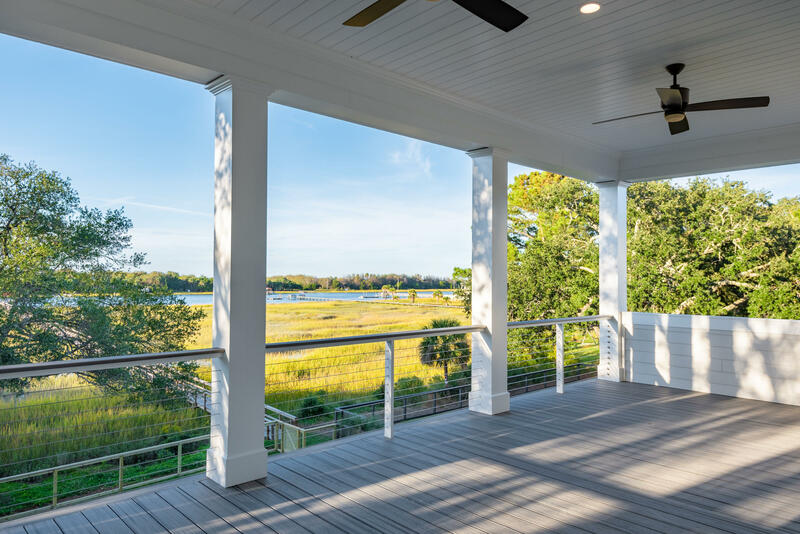 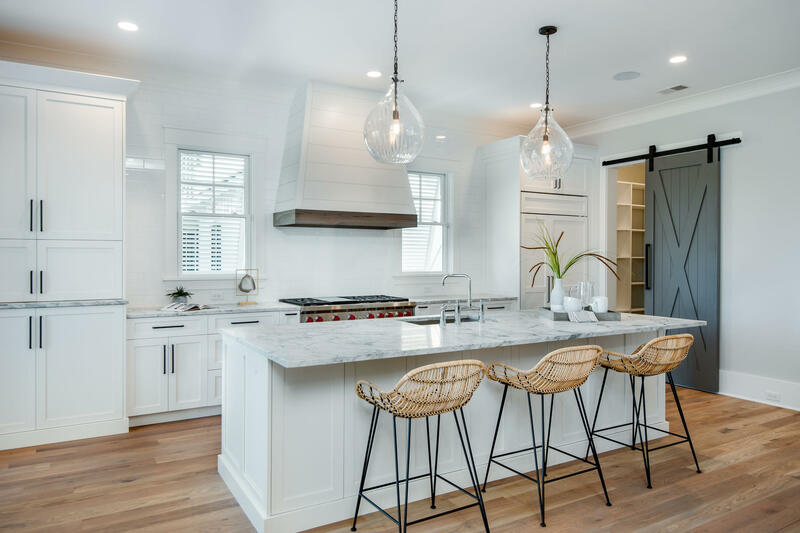 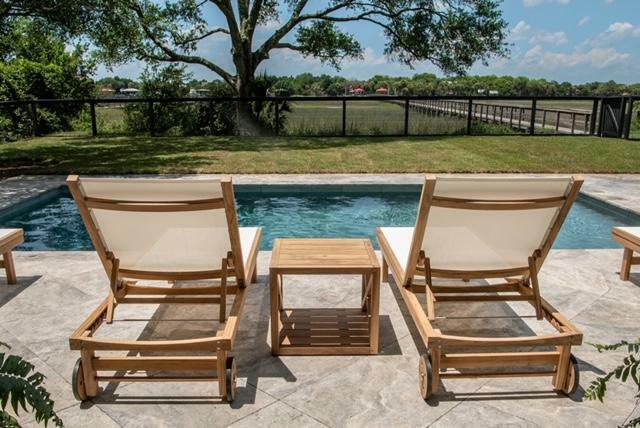 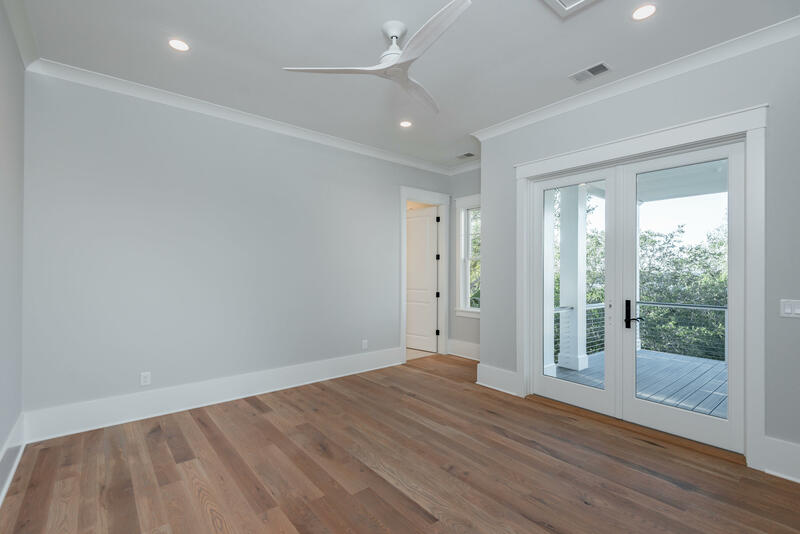 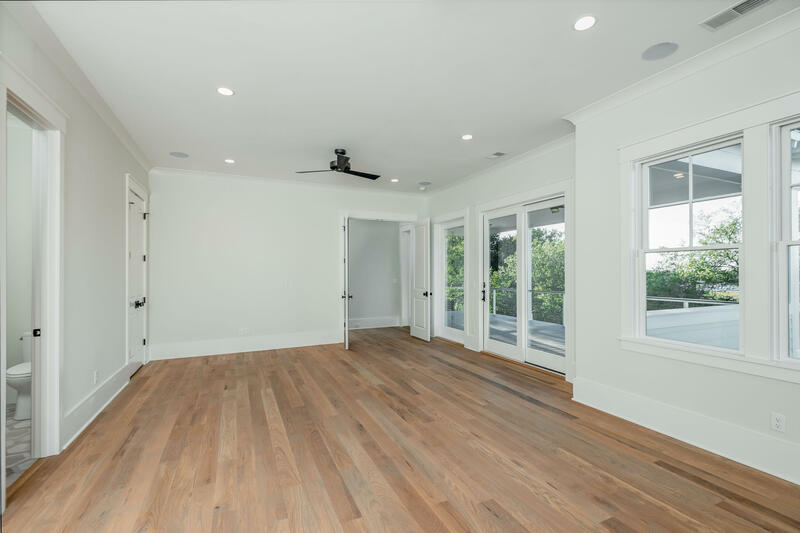 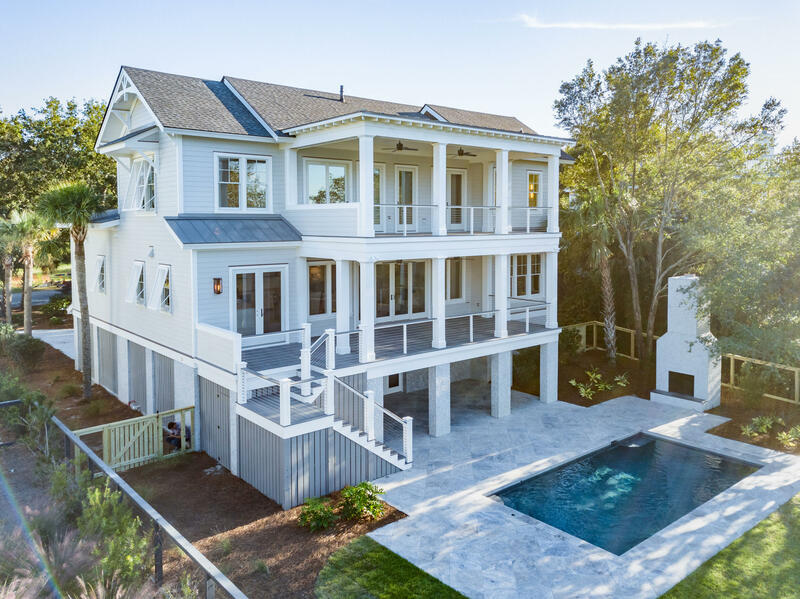 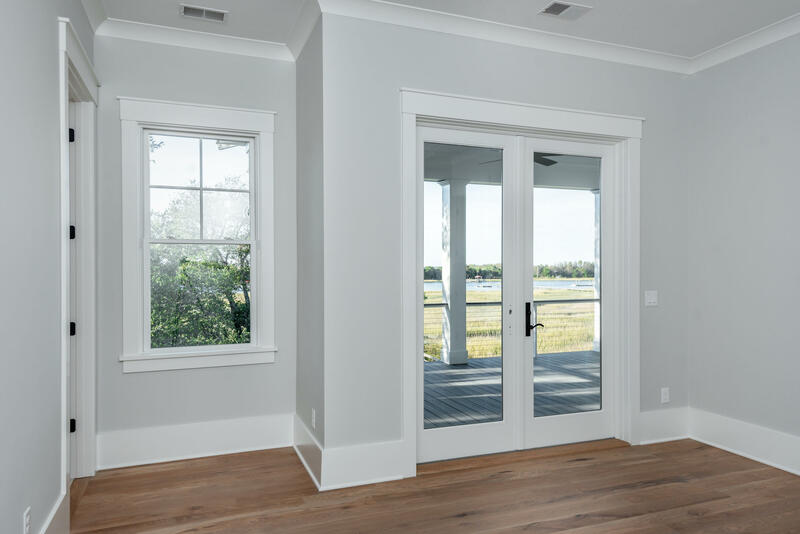 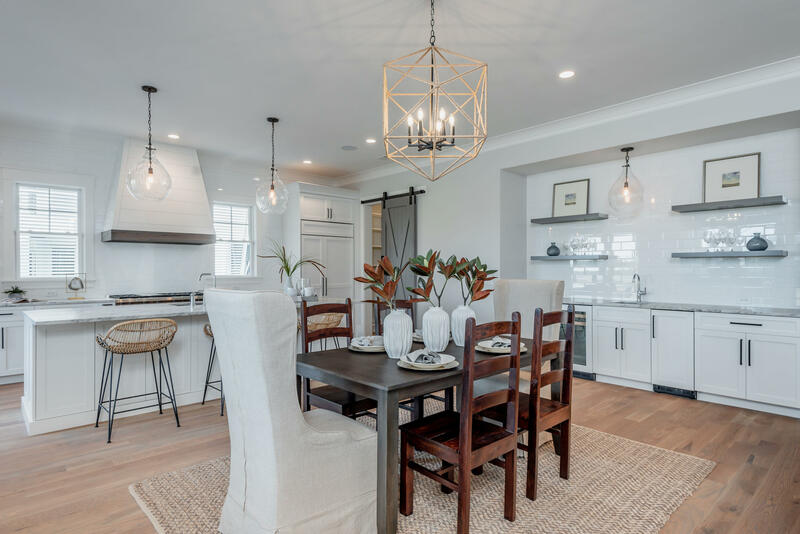 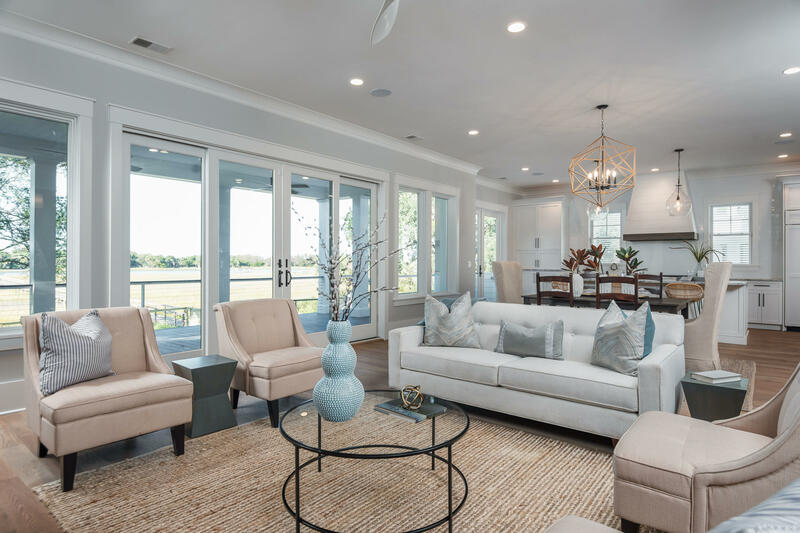 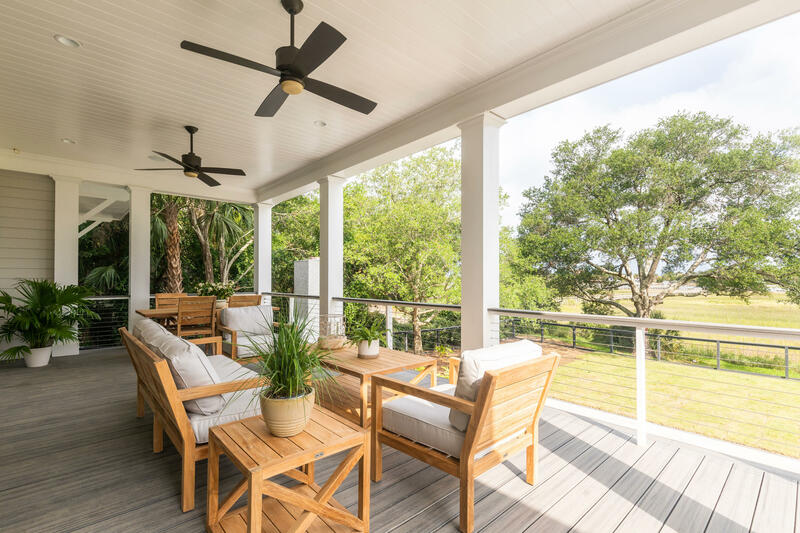 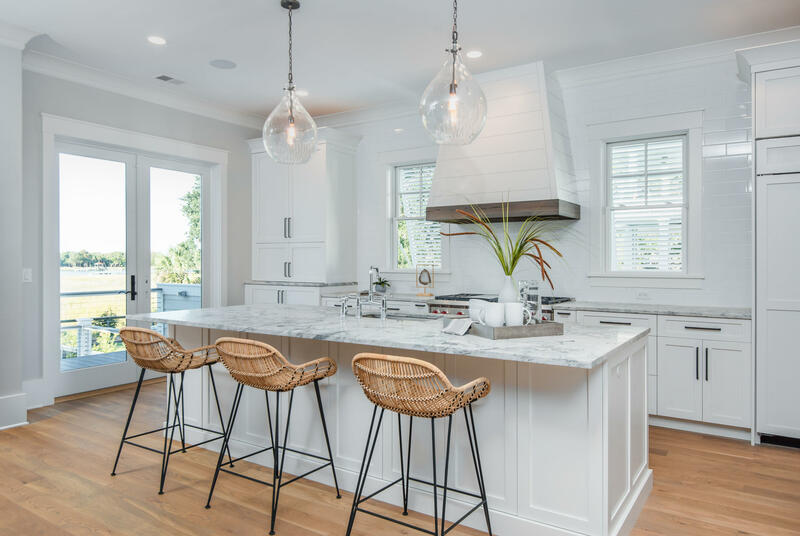 The junior master and media room have jaw-dropping views of the water and the upstairs full porch is the best place to watch the boats go up and down the Intracoastal Waterway. 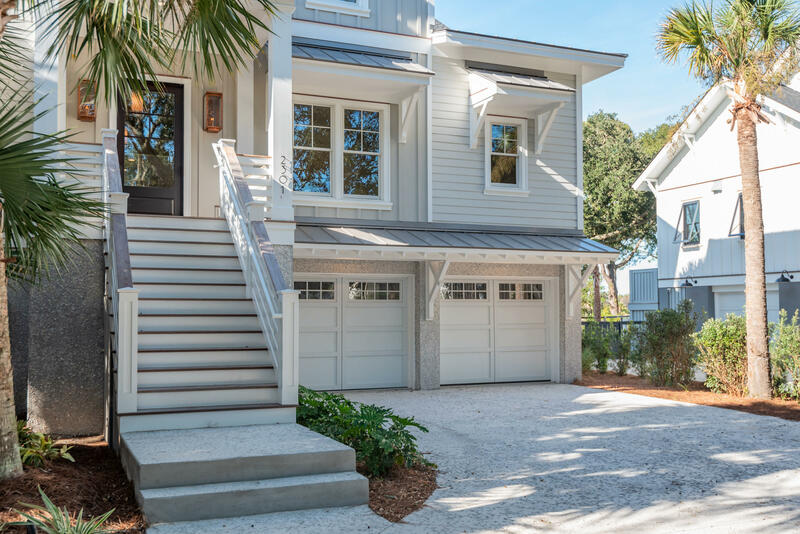 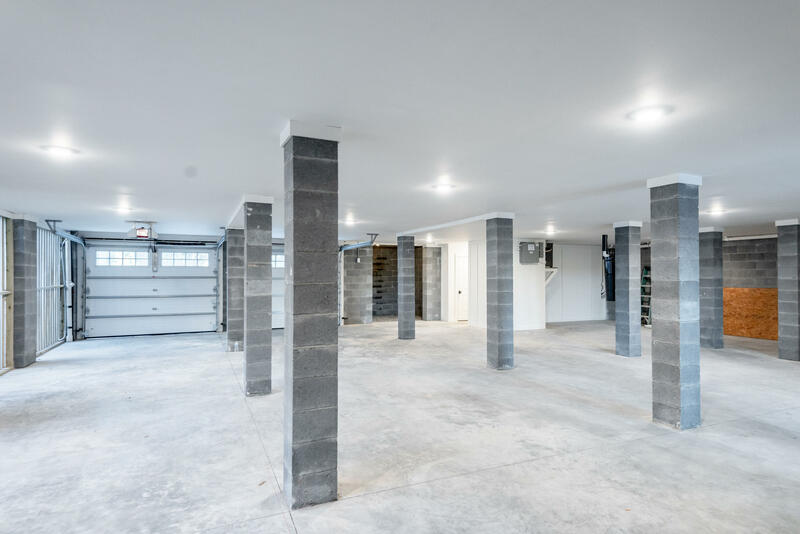 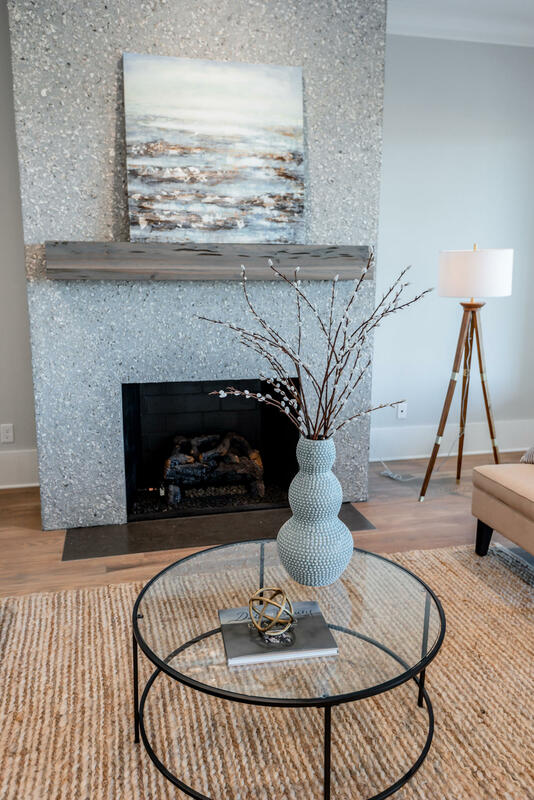 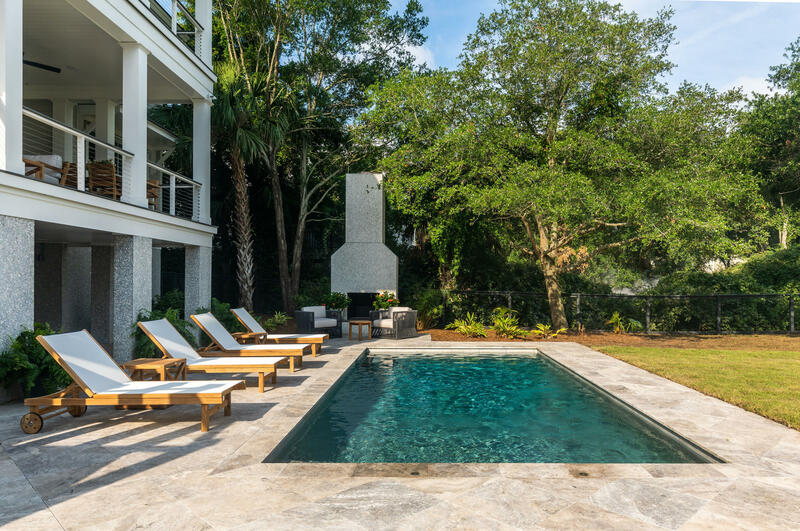 On the ground floor there is a two bay garage with plenty of room for storage and direct access to the saltwater pool, complete with outdoor fireplace and patio. 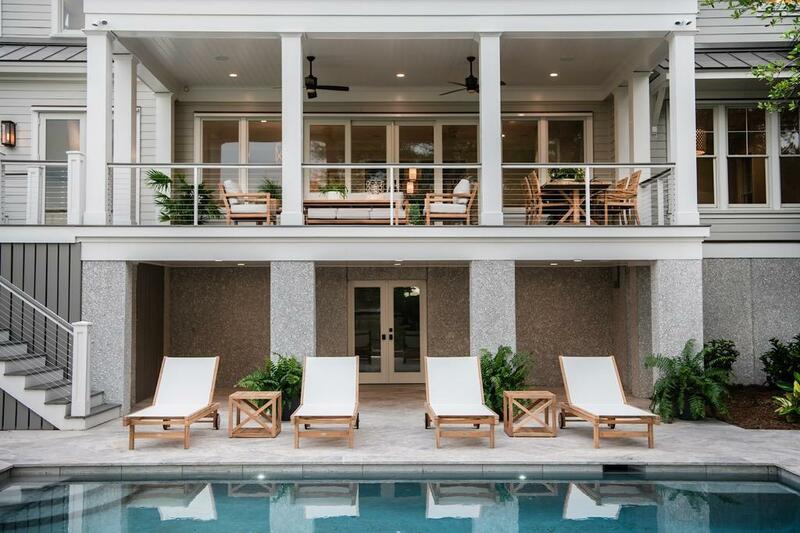 This home is a resort all by itself; you may never want to leave! Having your friends and family visit for the day or the week will be a coveted invitation for sure. This is what living on Island living is supposed to be. 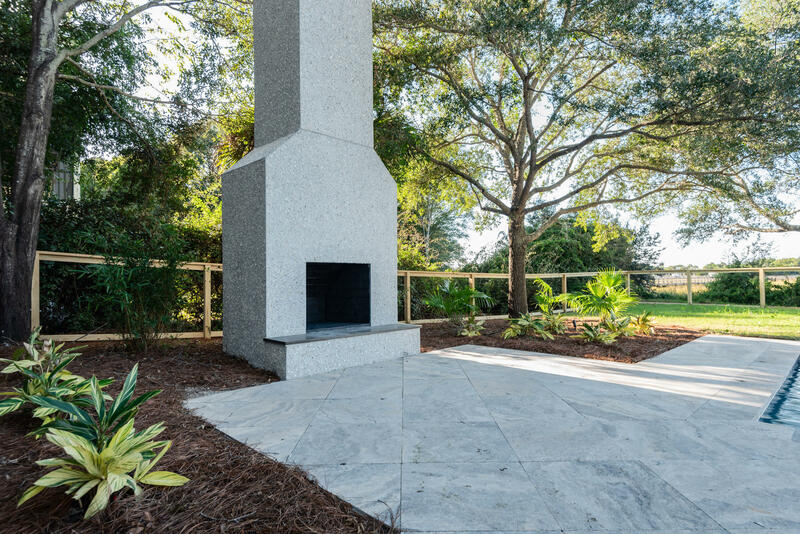 Estimated completion date is mid September 2018.